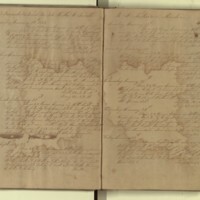 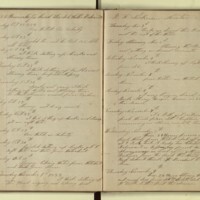 This log was kept by the Mate, William H. Beetle, aboard the schooner Hattie E. Smith (Benjamin F. Nickerson, Master), originally hailing from Edgartown, Massachusetts. 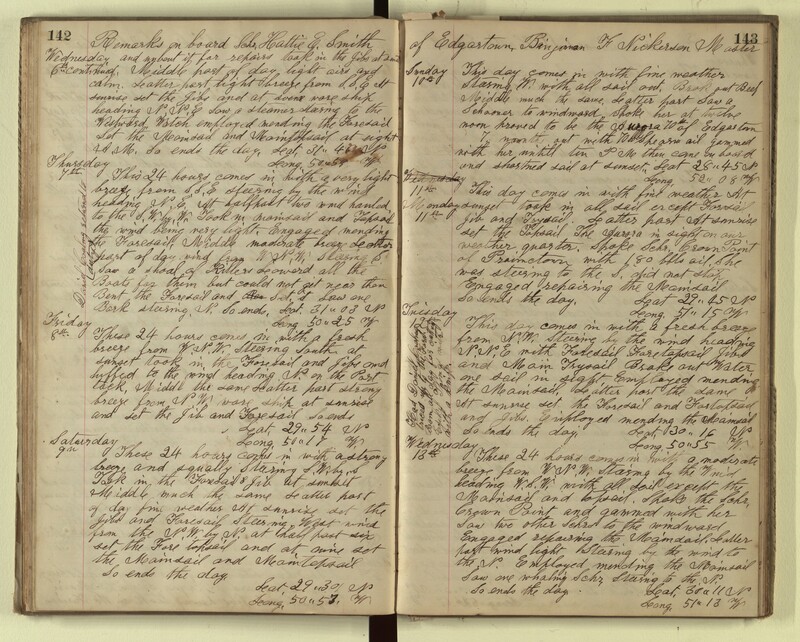 On this two-year voyage (1881-1883) she set sail from New Bedford, and took approximately two dozen whales out of the North Atlantic. 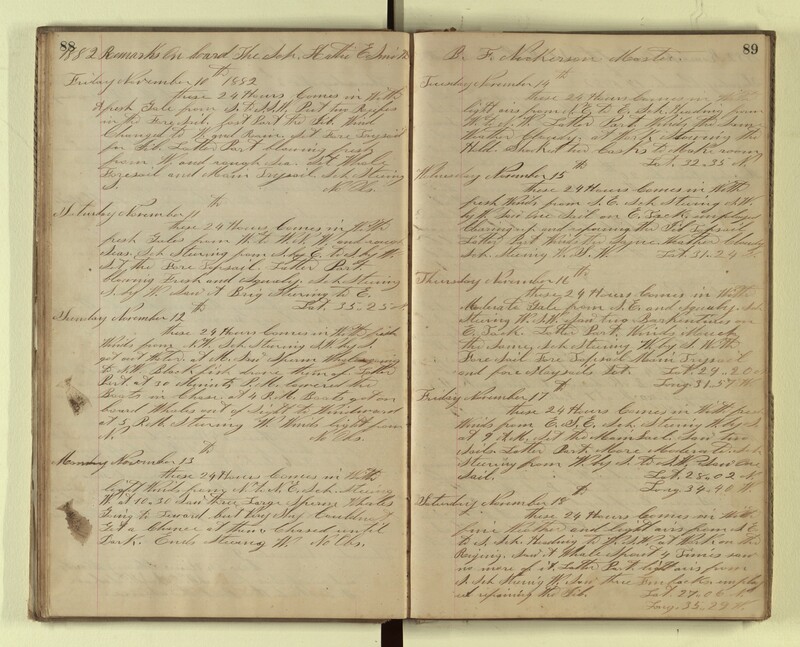 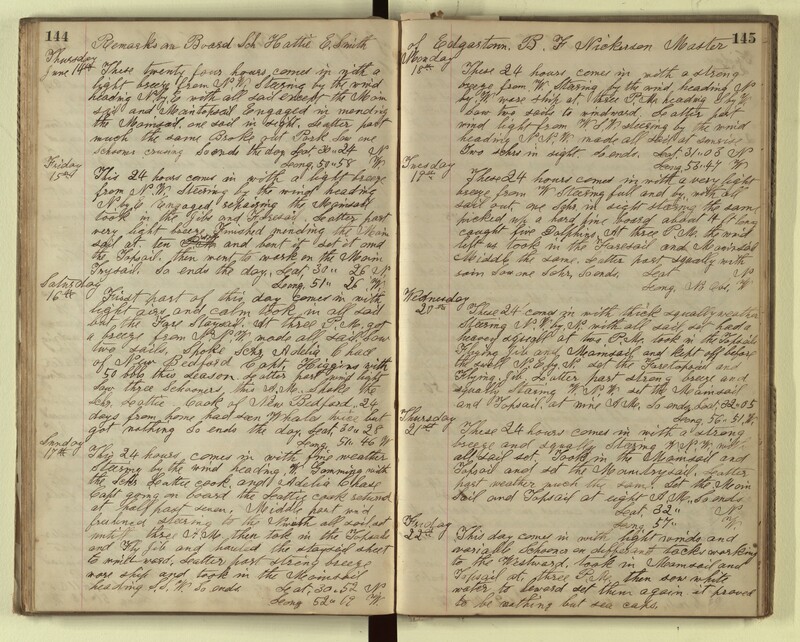 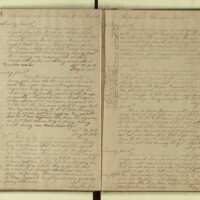 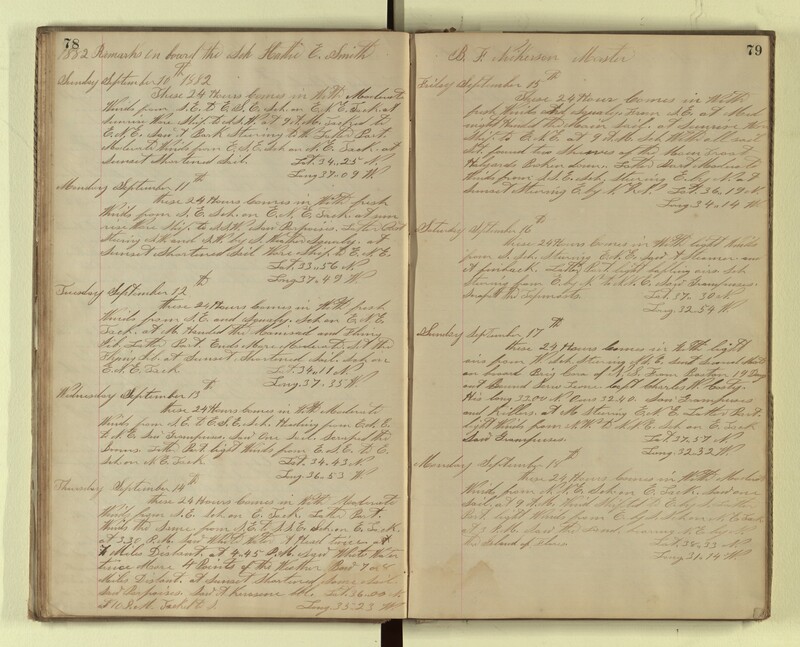 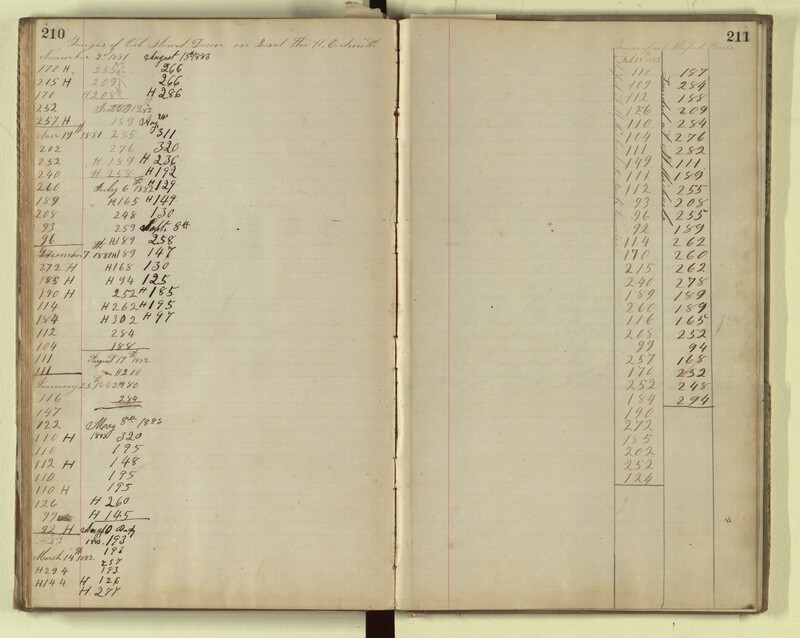 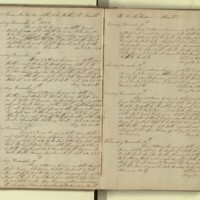 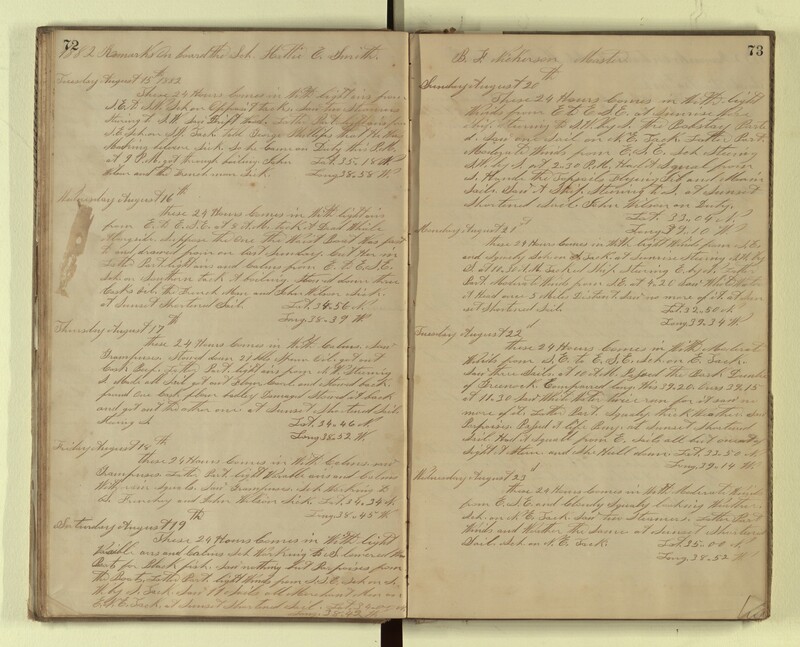 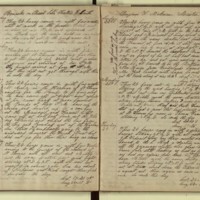 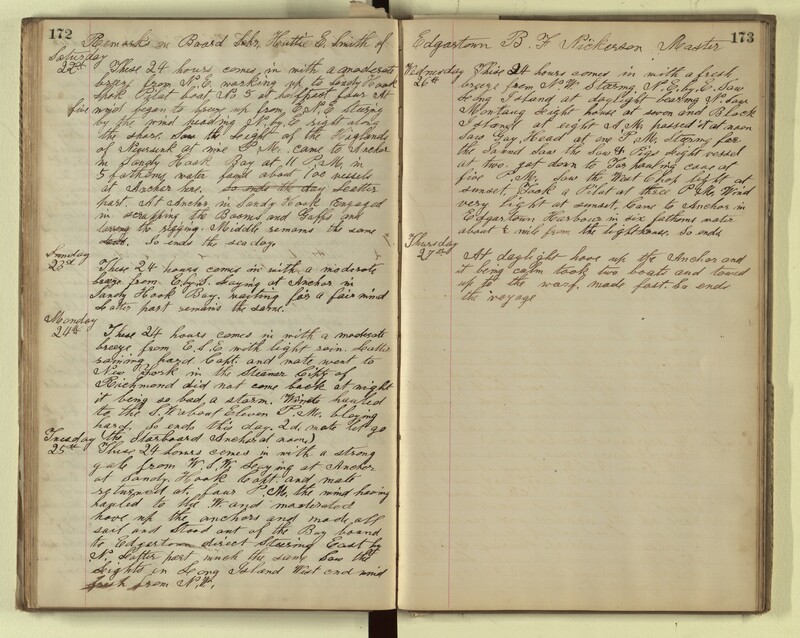 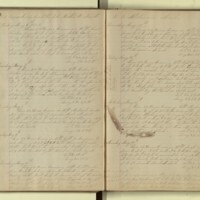 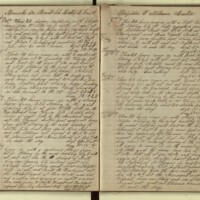 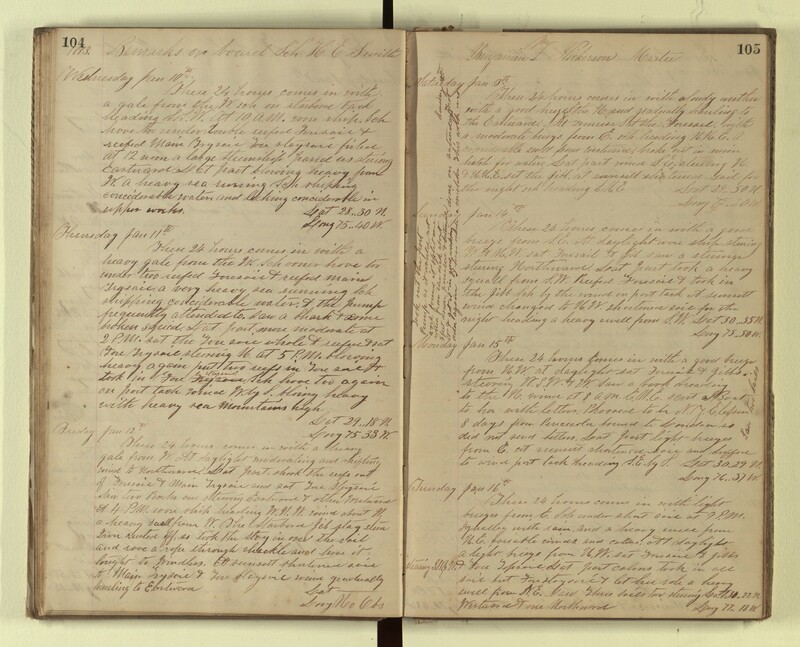 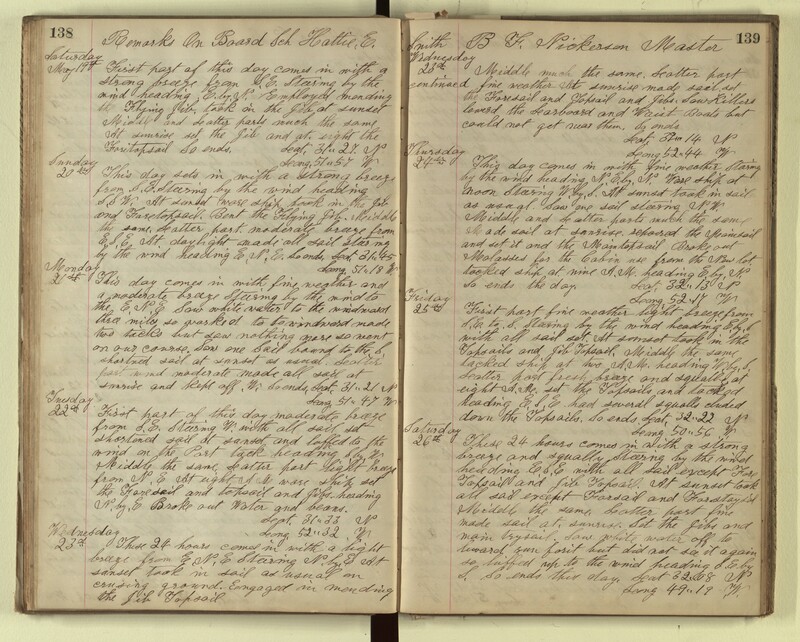 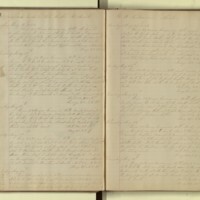 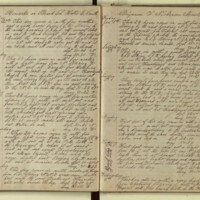 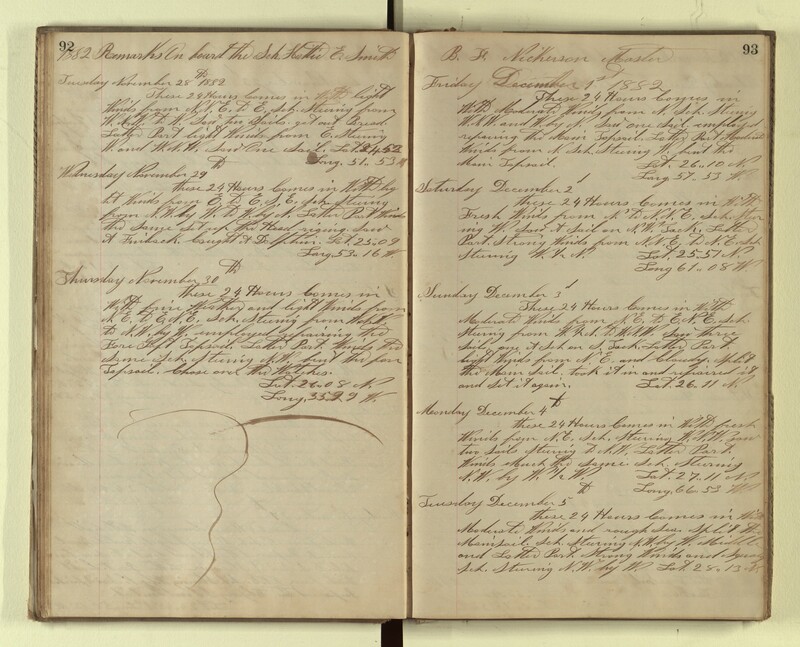 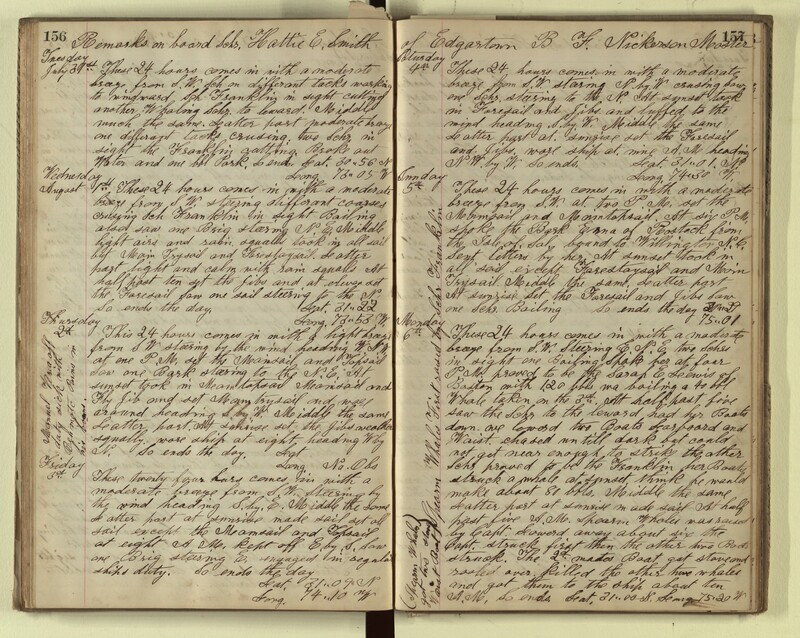 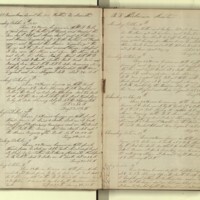 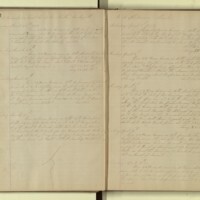 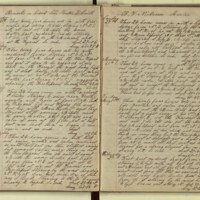 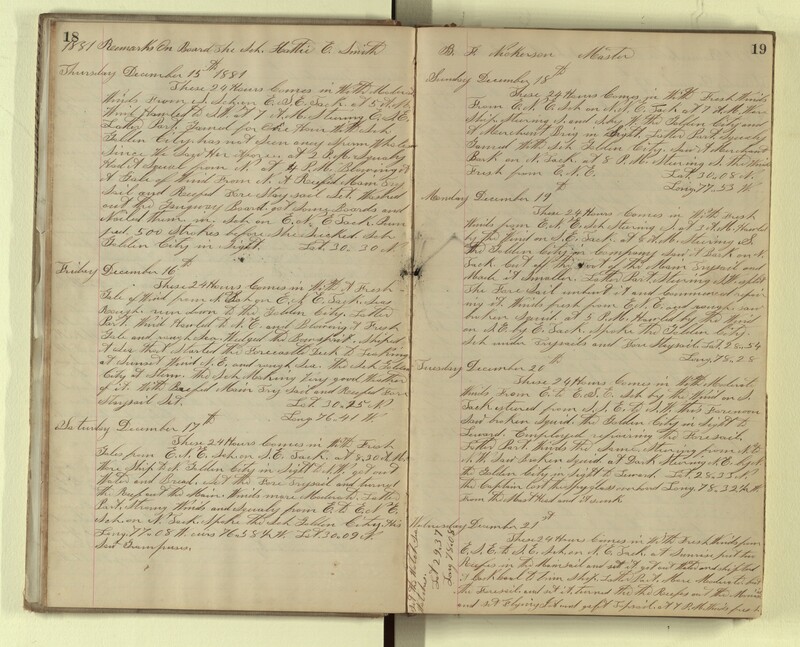 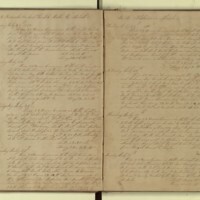 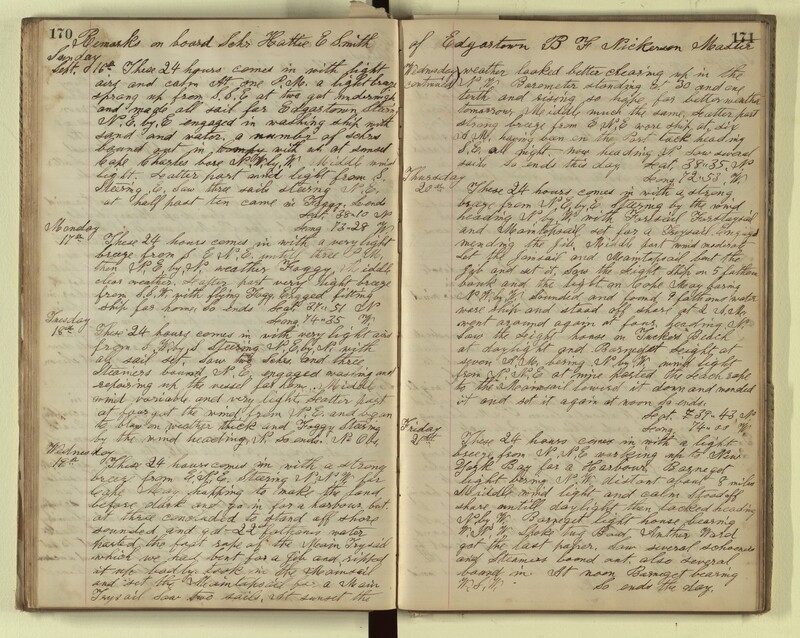 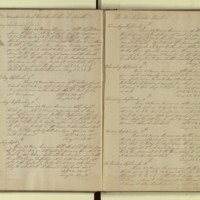 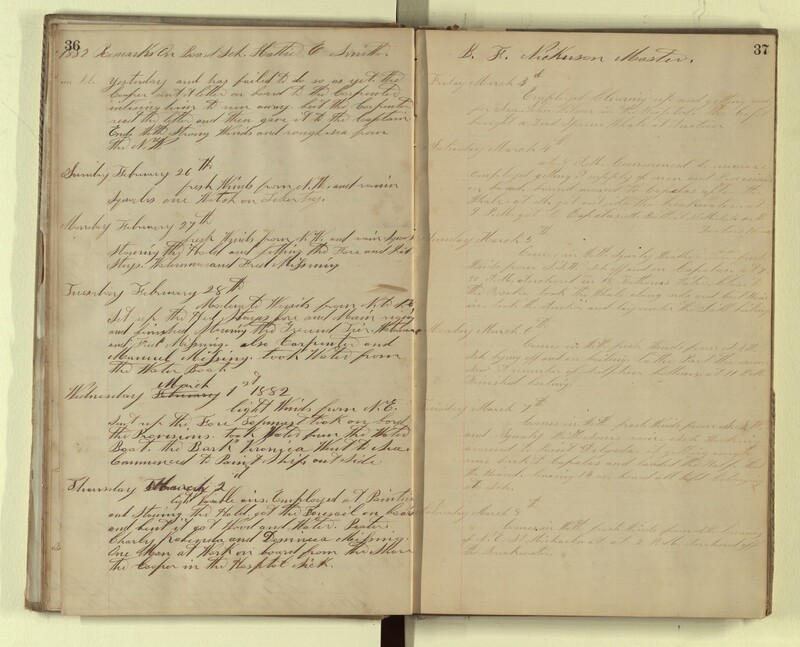 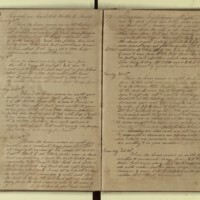 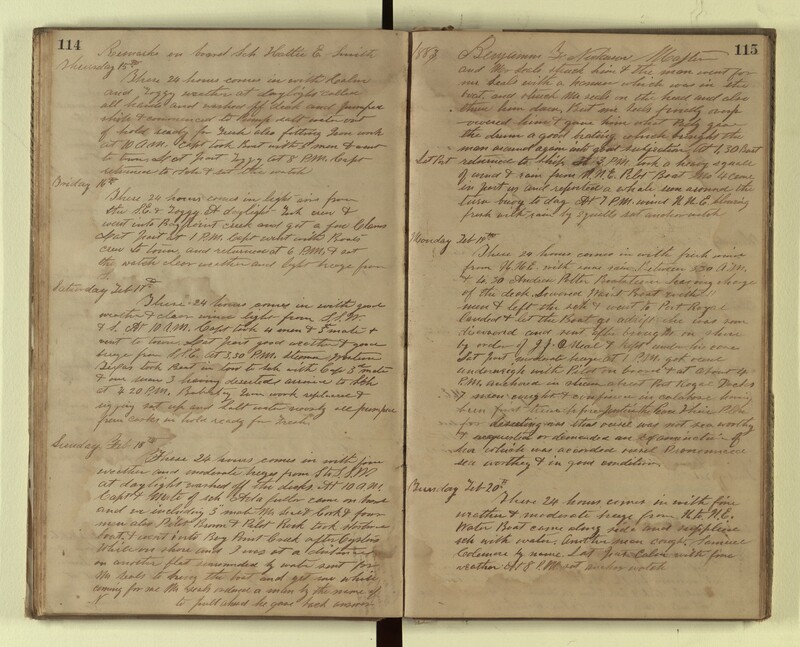 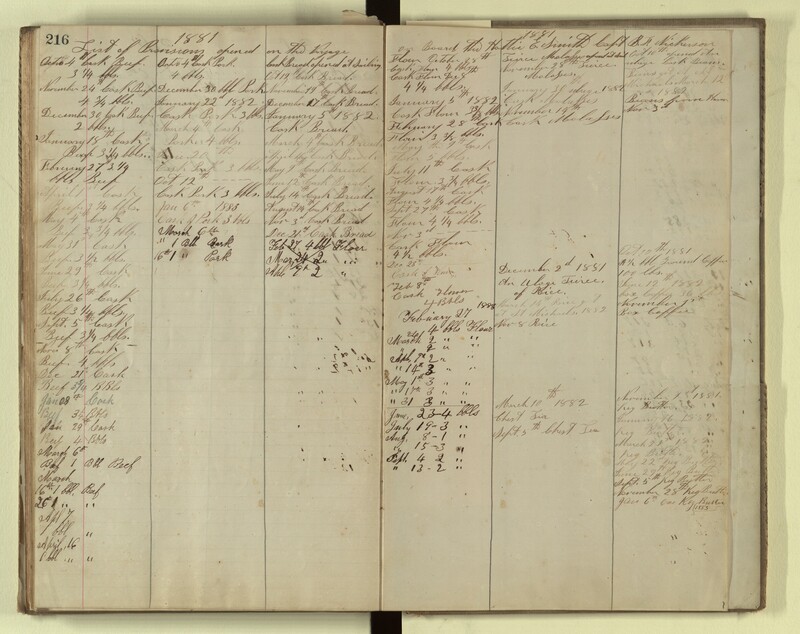 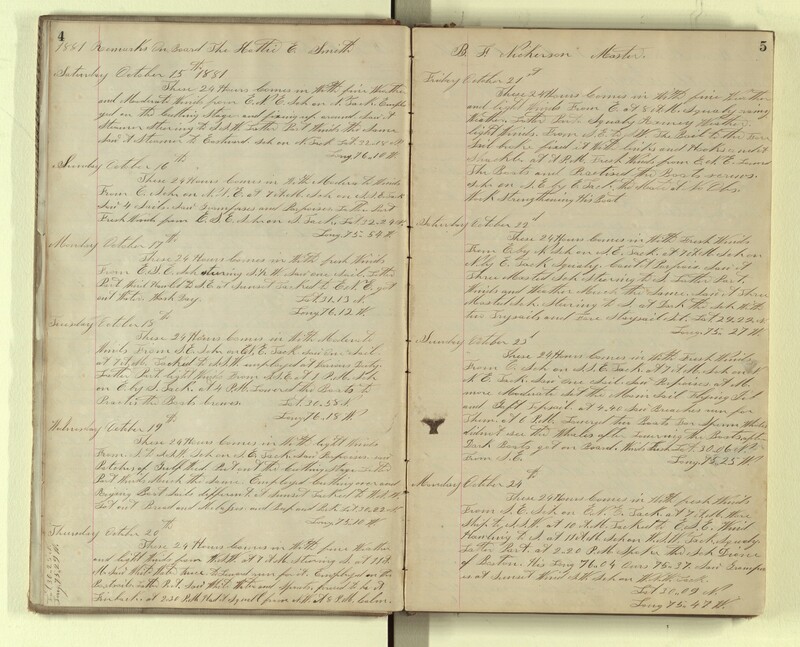 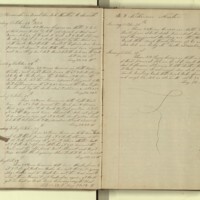 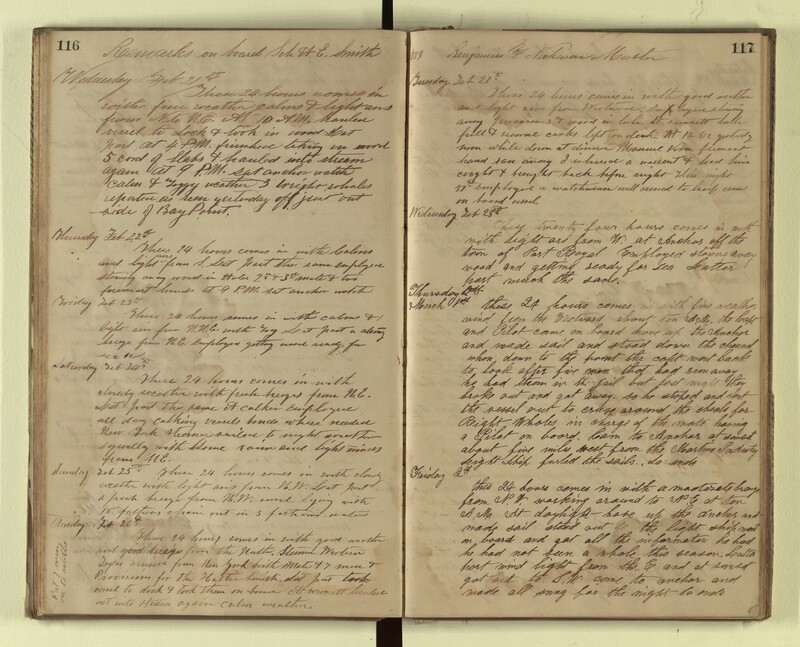 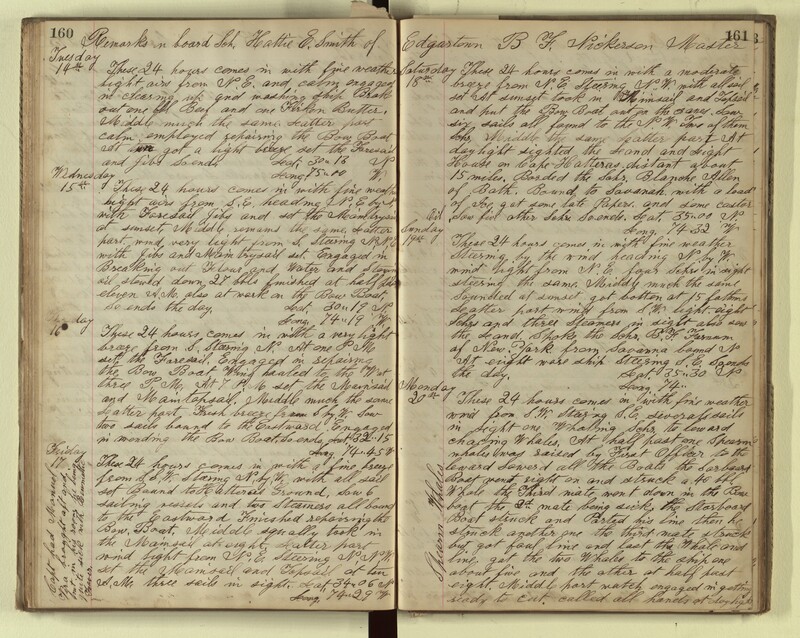 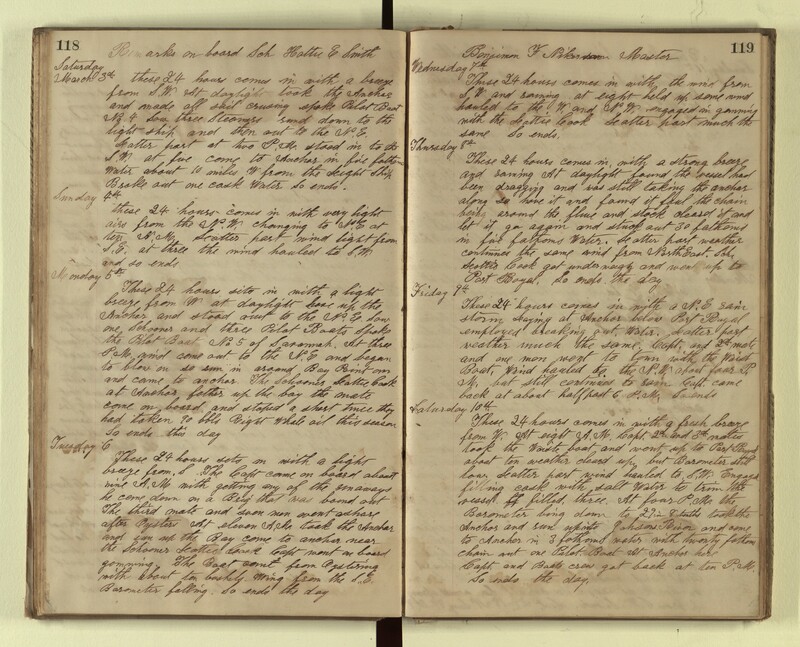 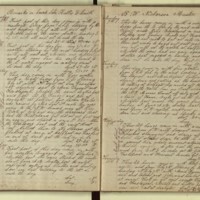 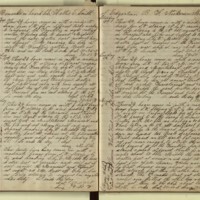 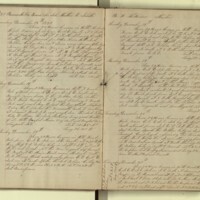 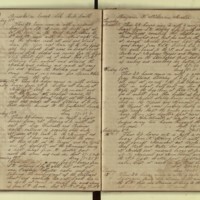 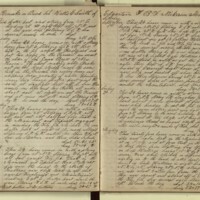 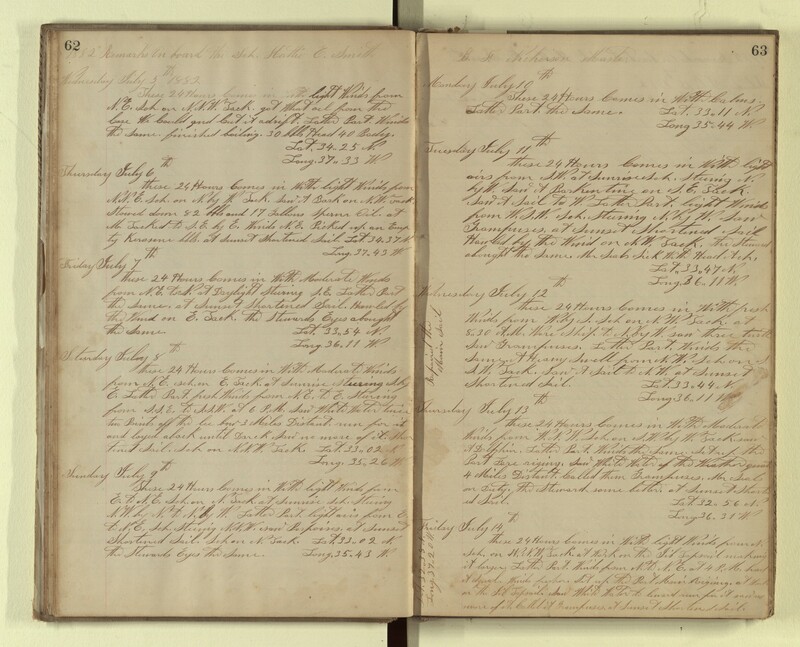 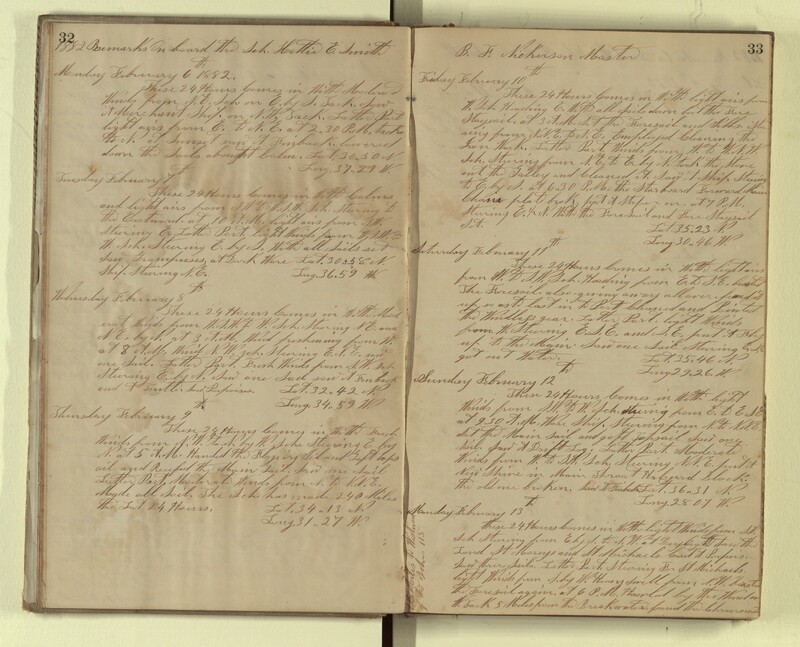 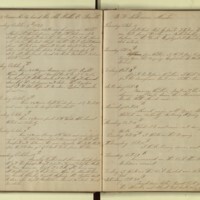 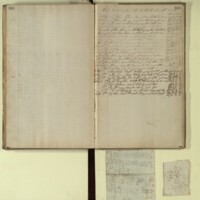 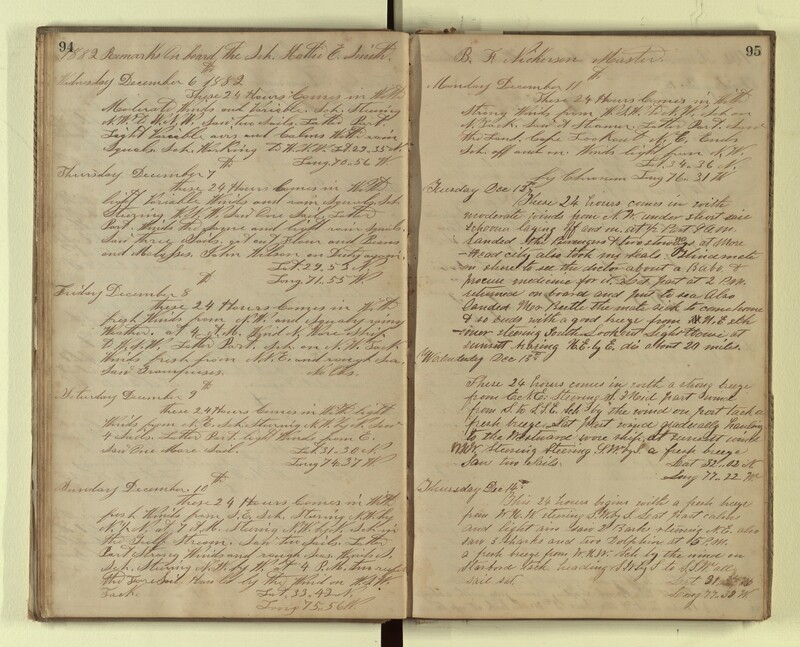 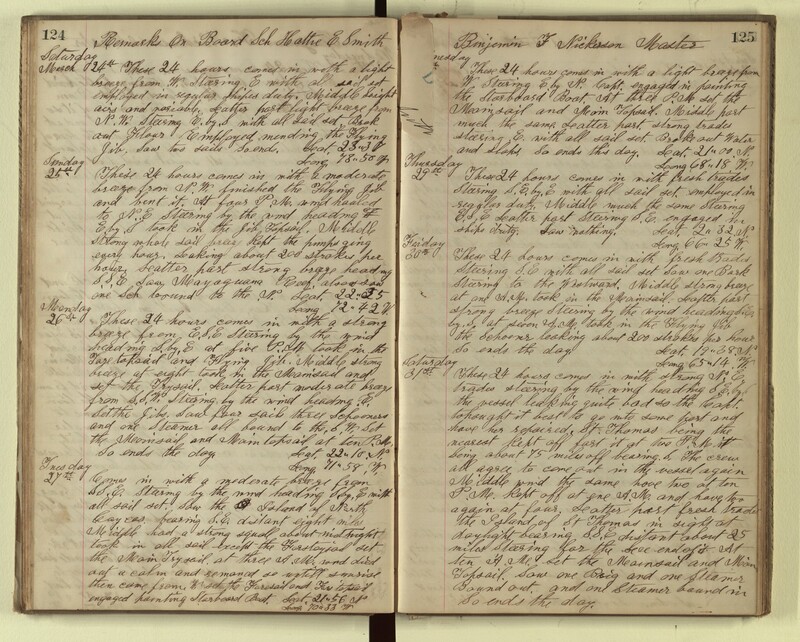 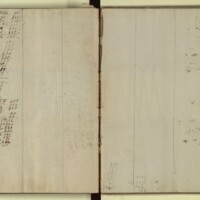 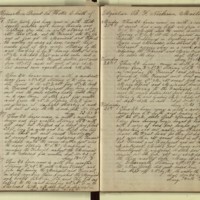 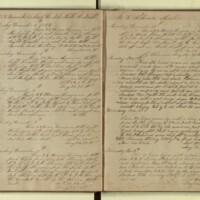 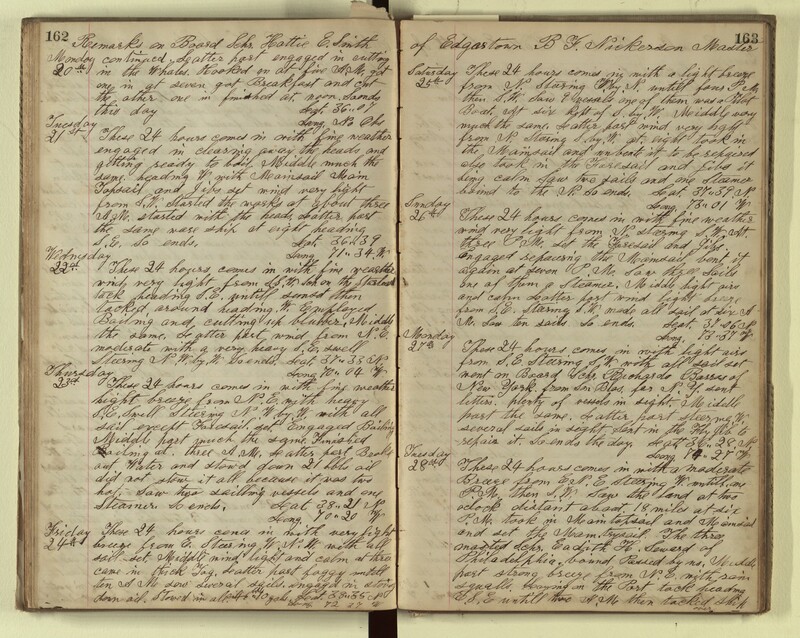 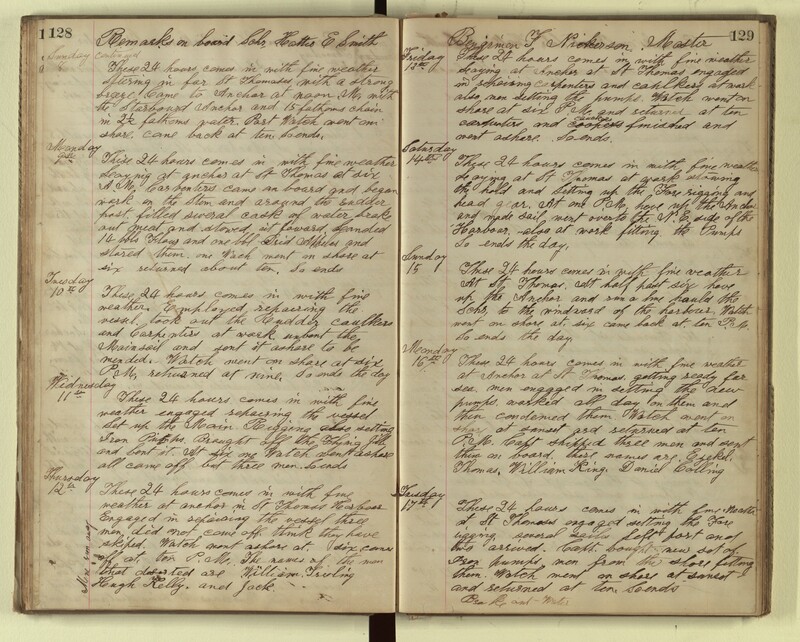 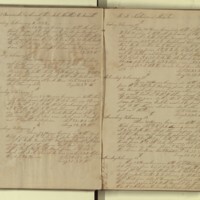 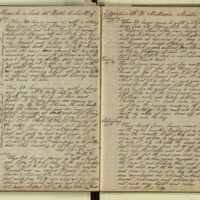 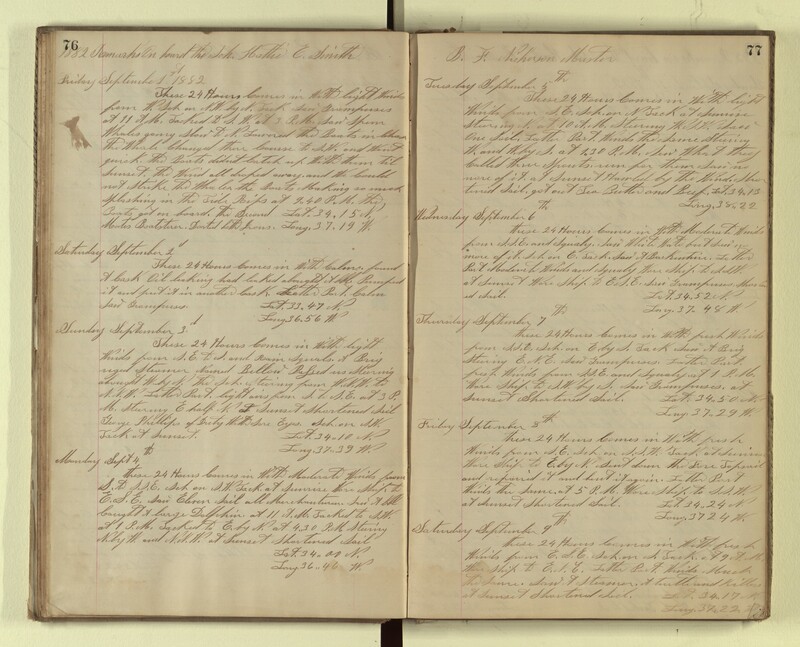 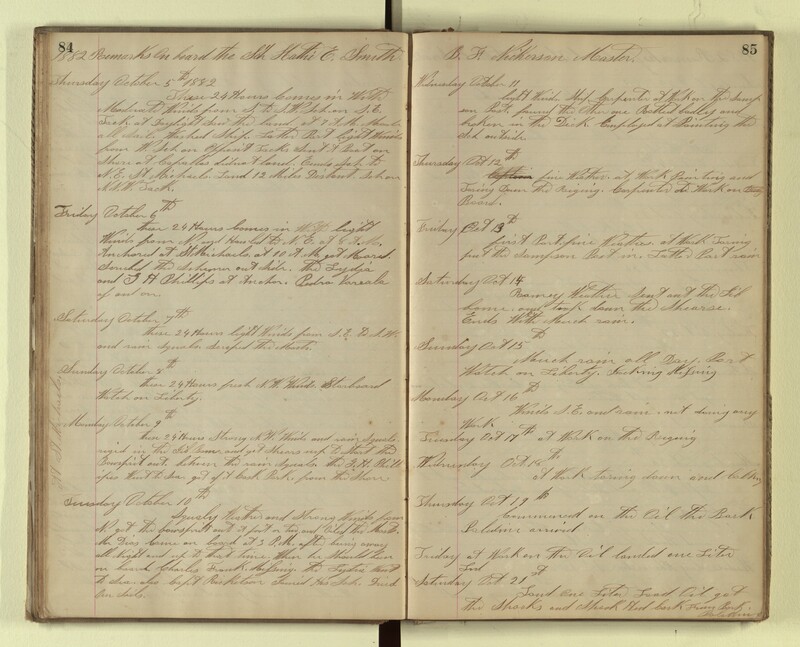 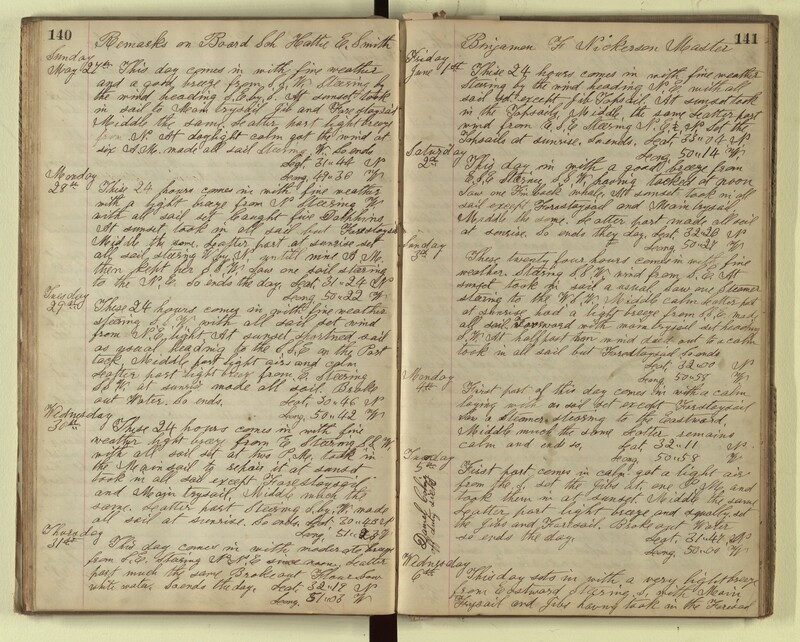 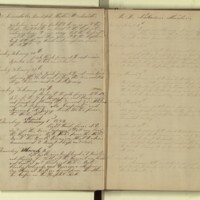 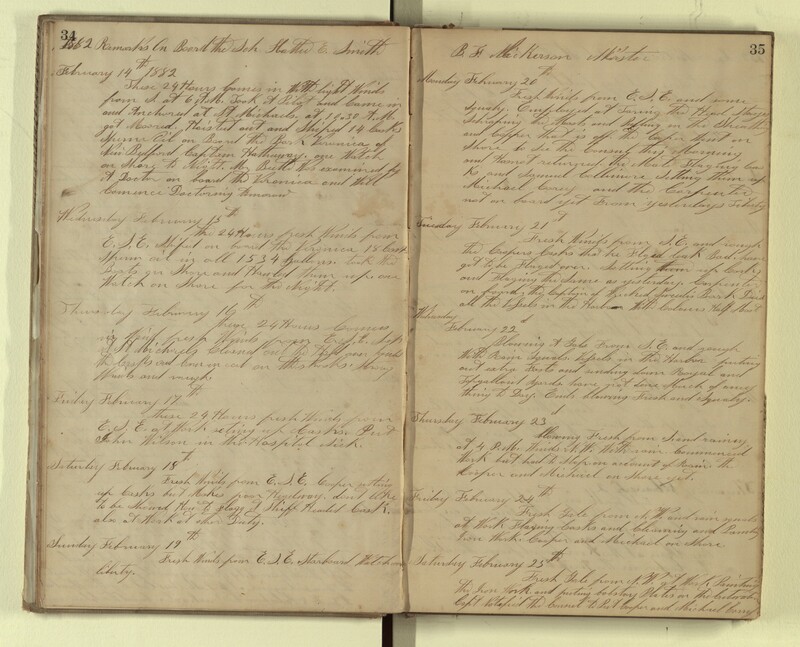 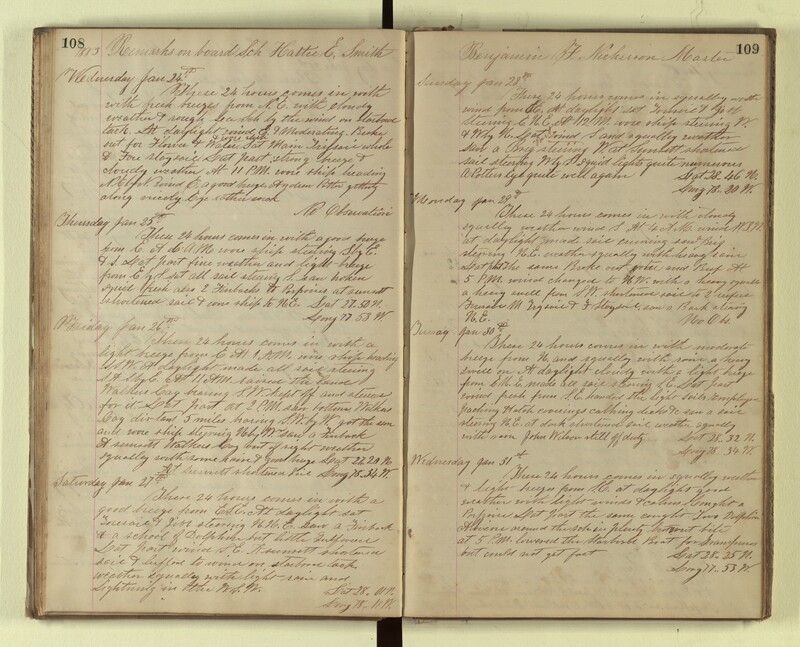 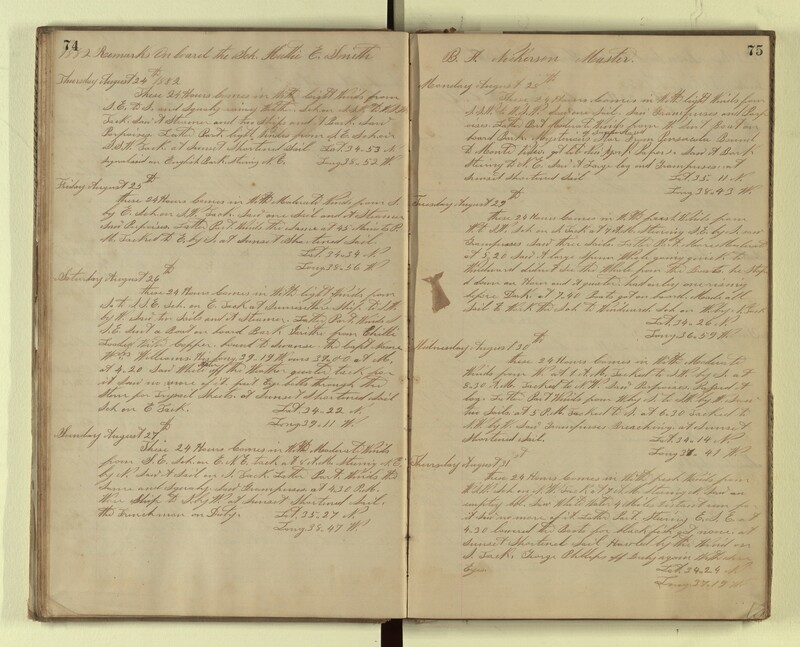 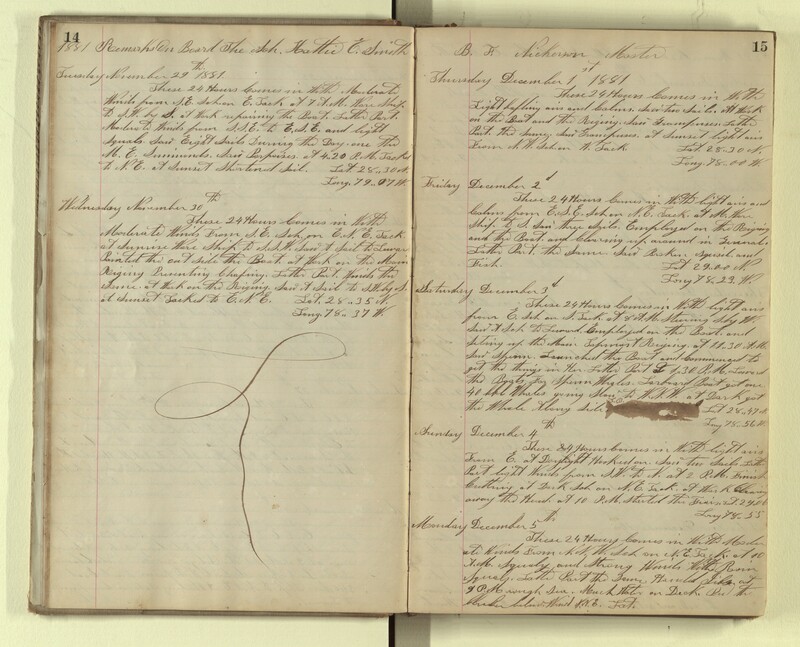 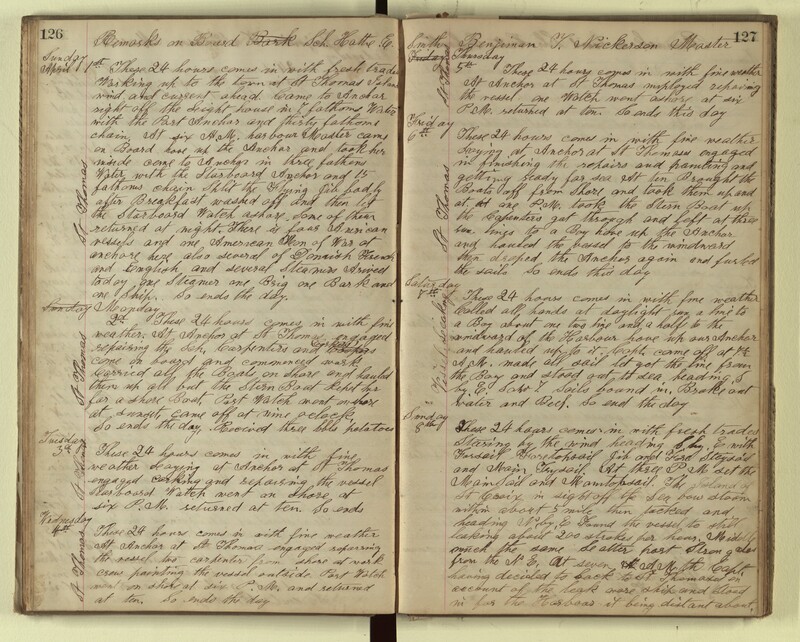 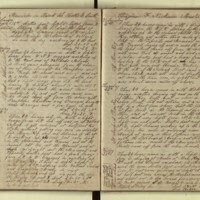 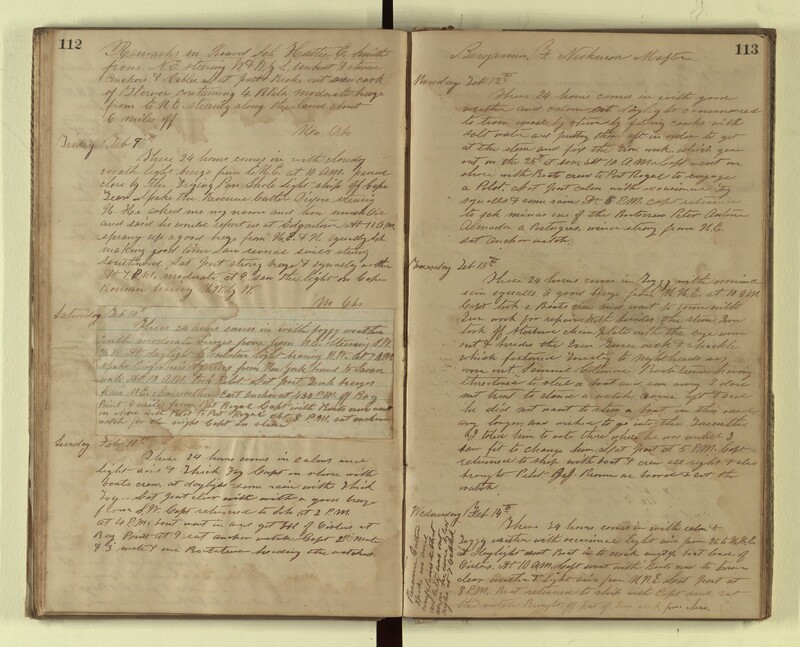 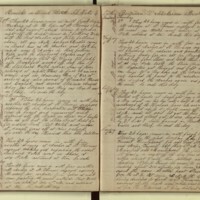 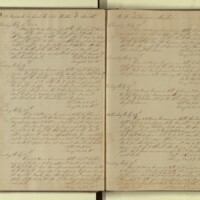 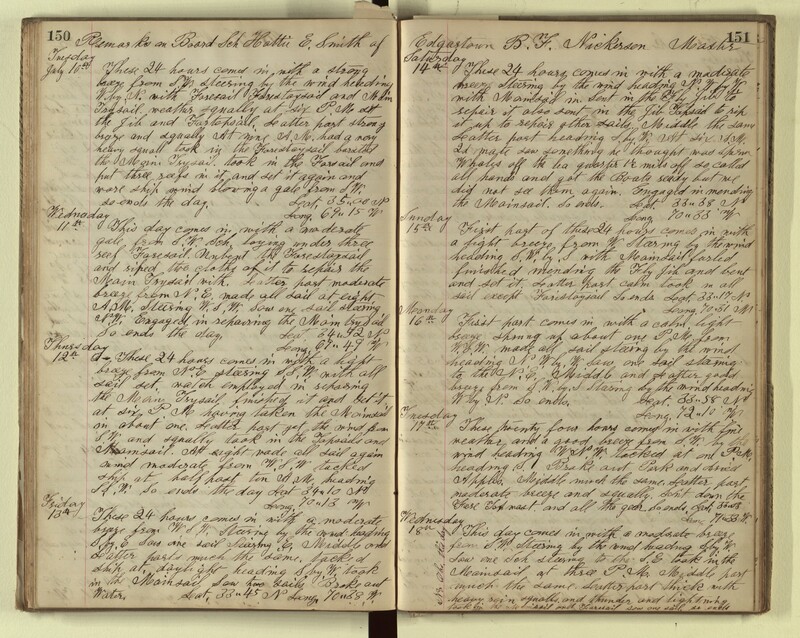 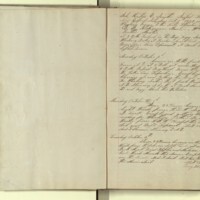 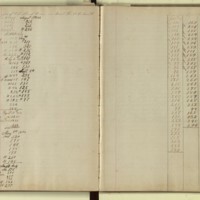 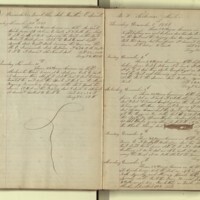 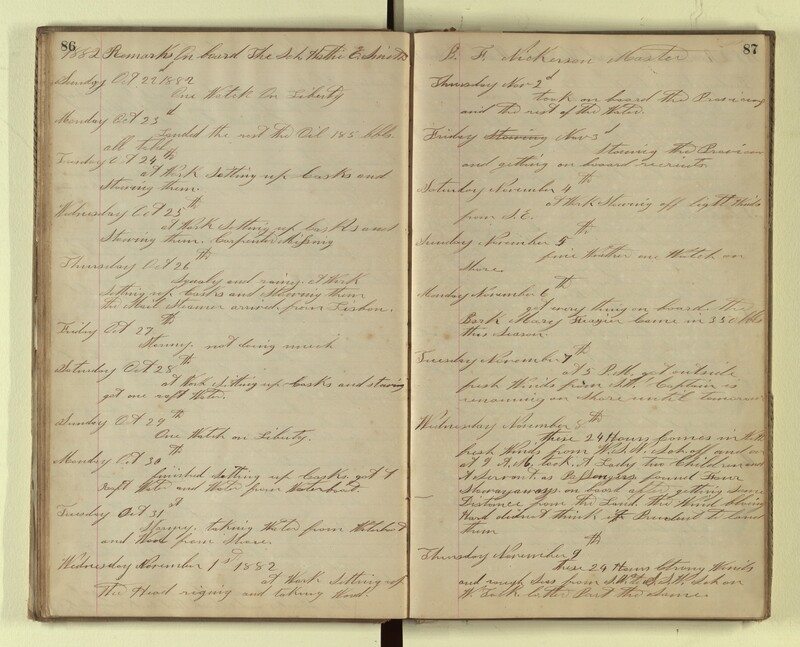 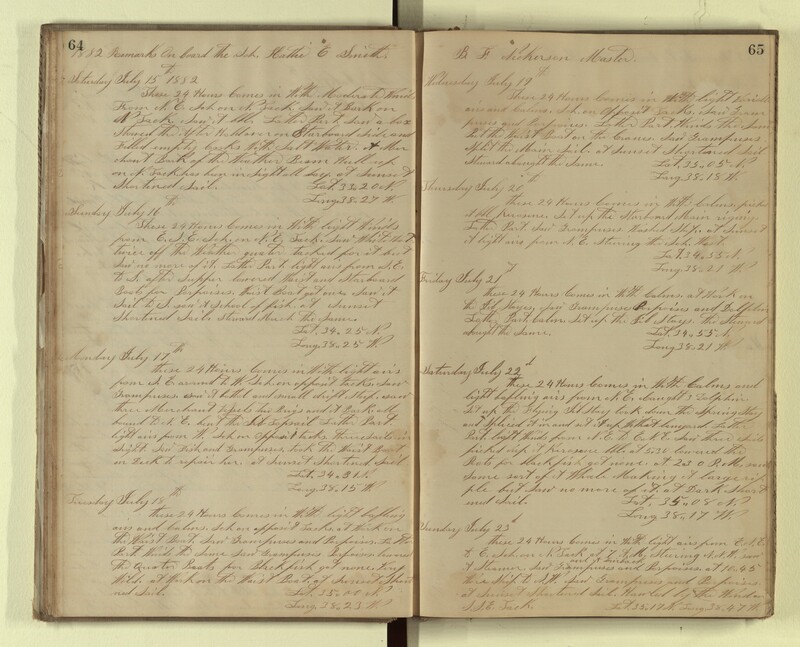 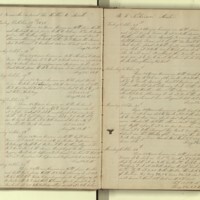 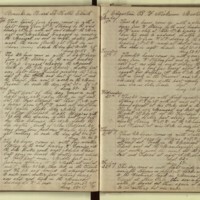 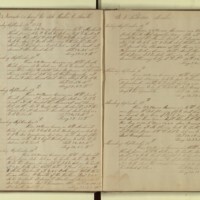 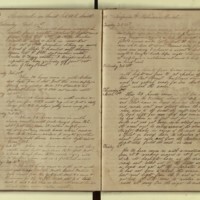 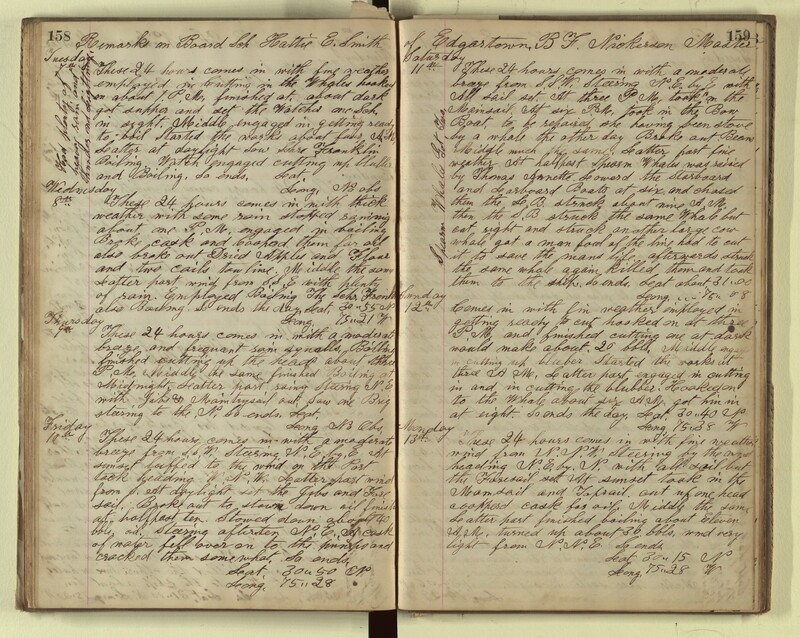 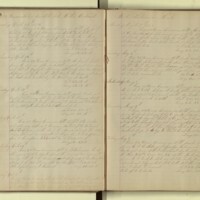 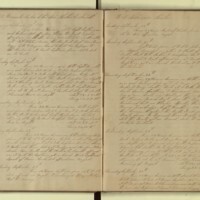 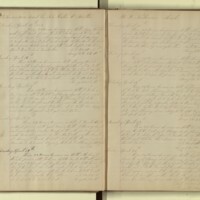 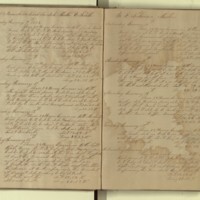 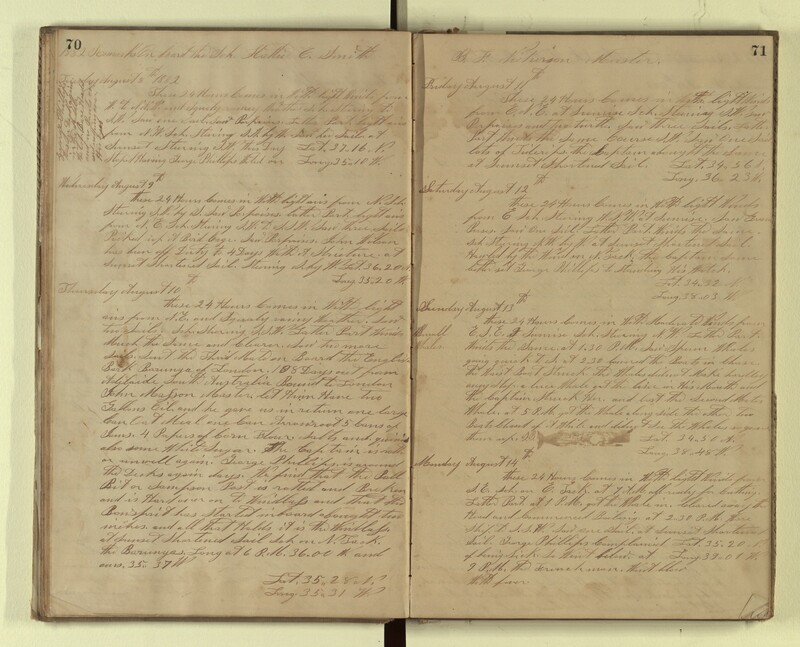 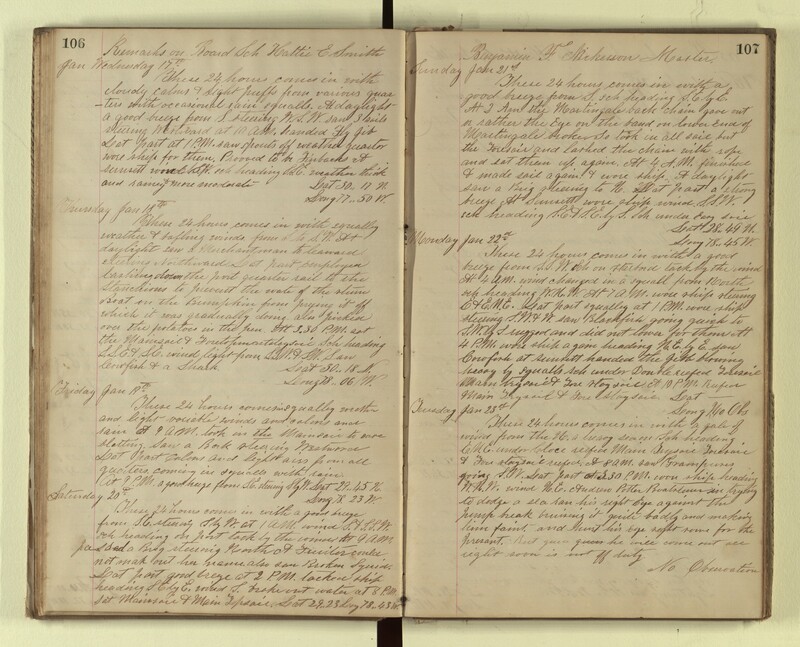 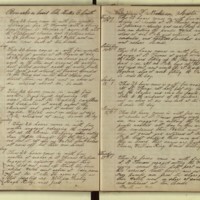 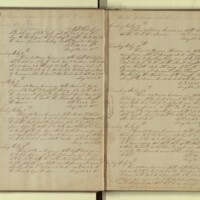 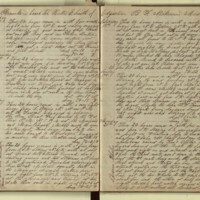 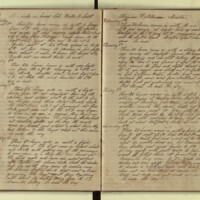 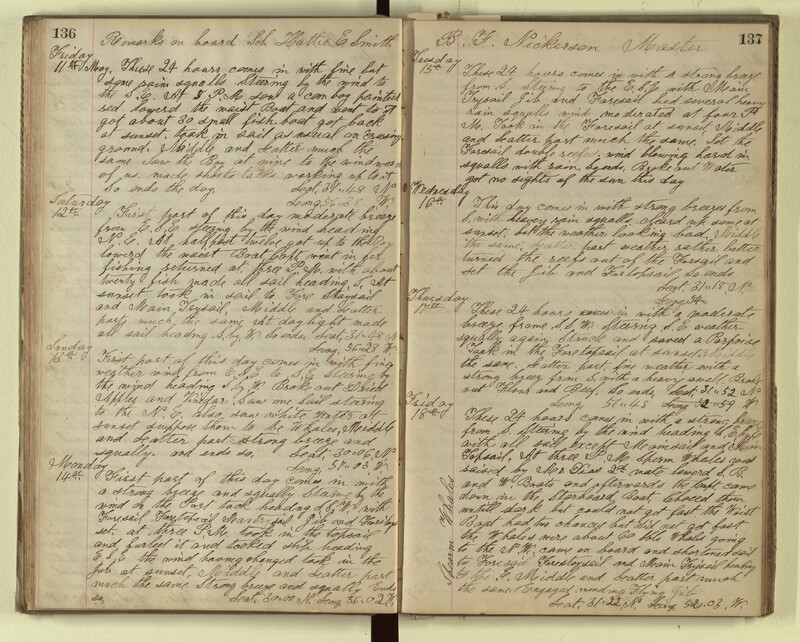 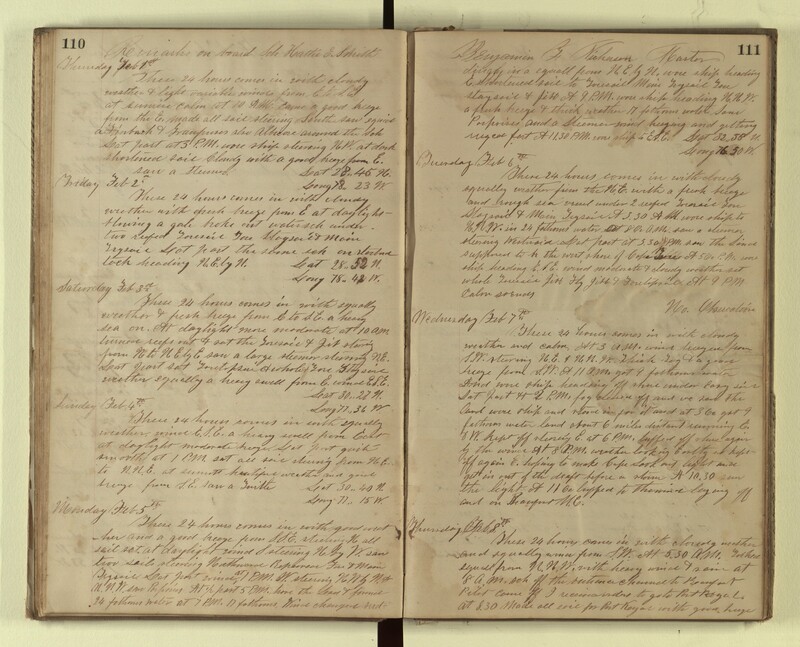 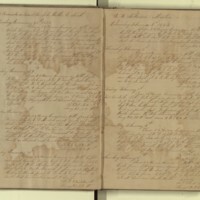 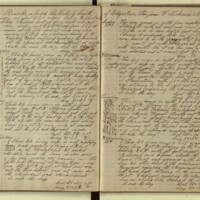 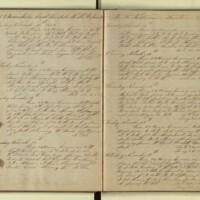 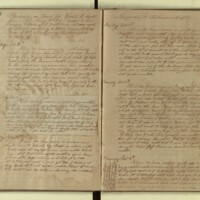 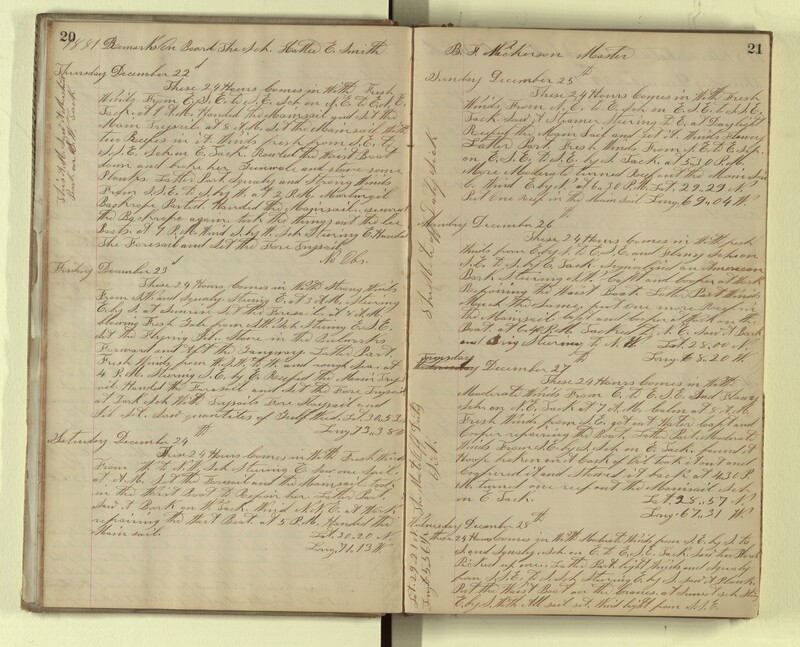 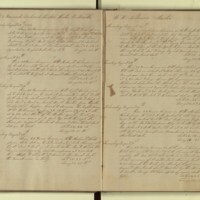 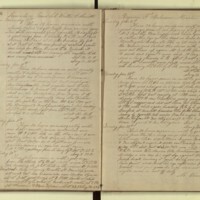 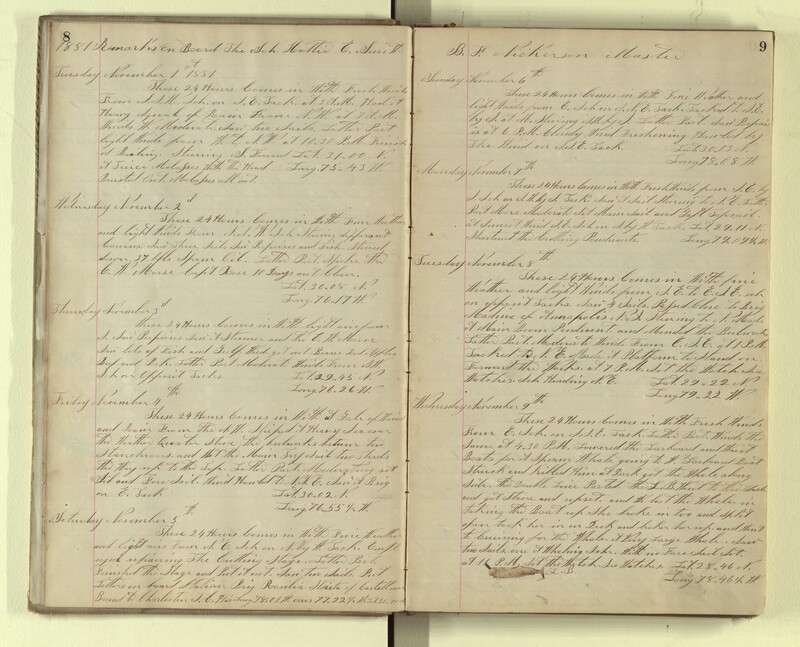 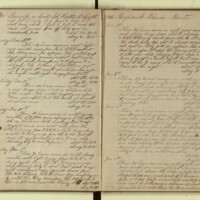 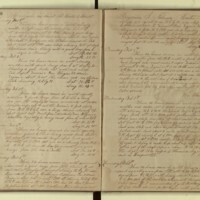 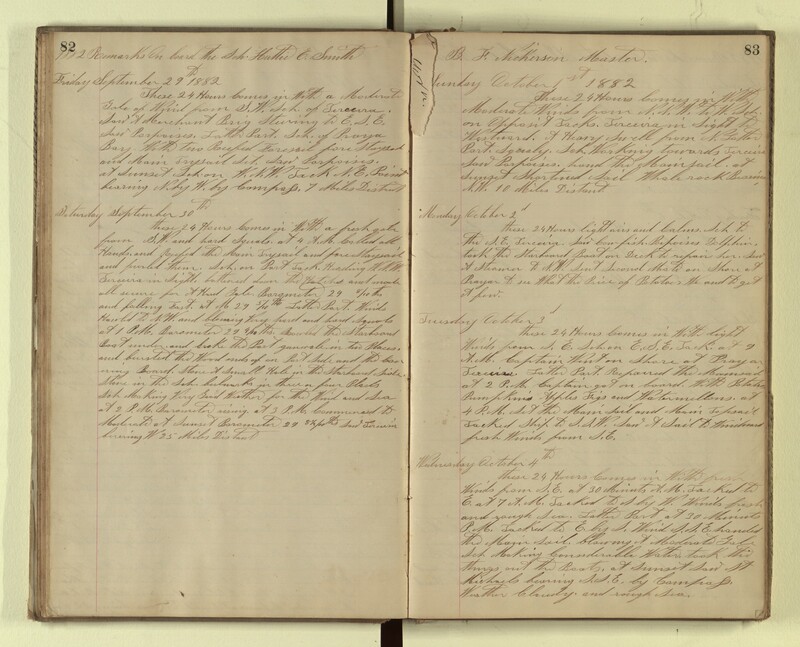 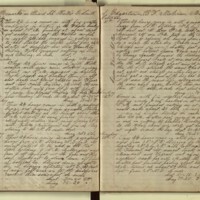 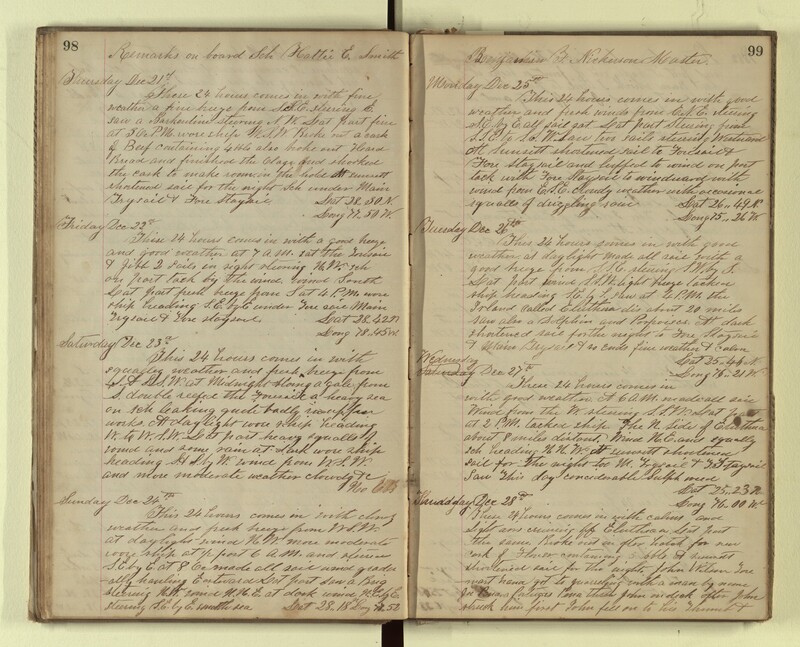 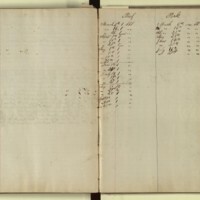 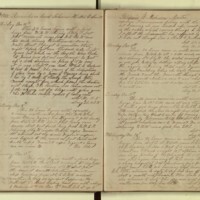 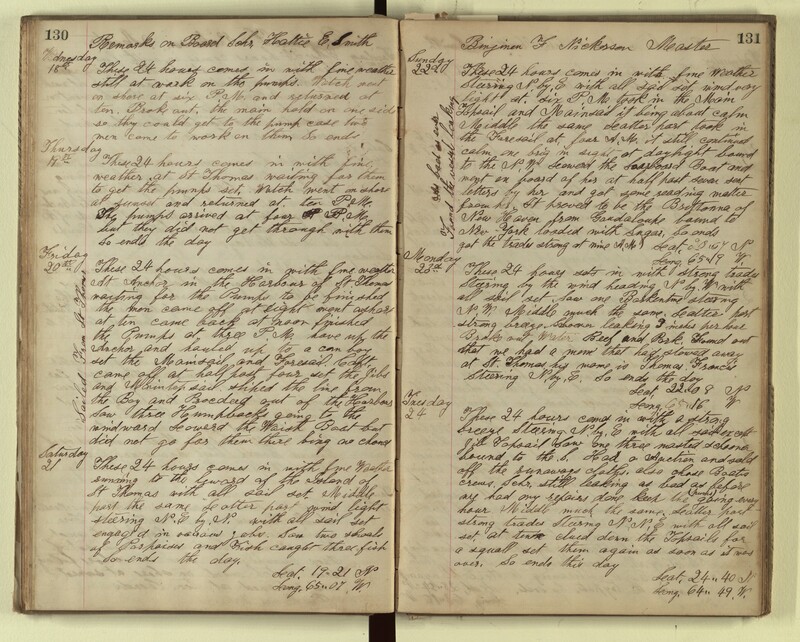 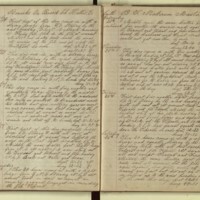 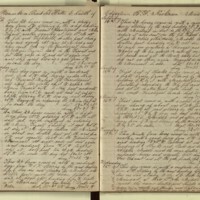 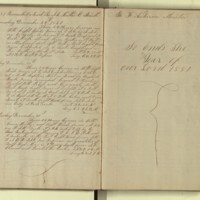 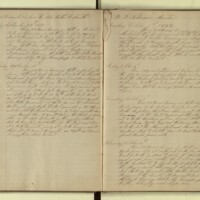 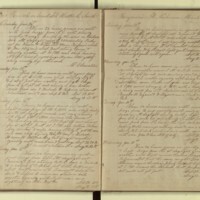 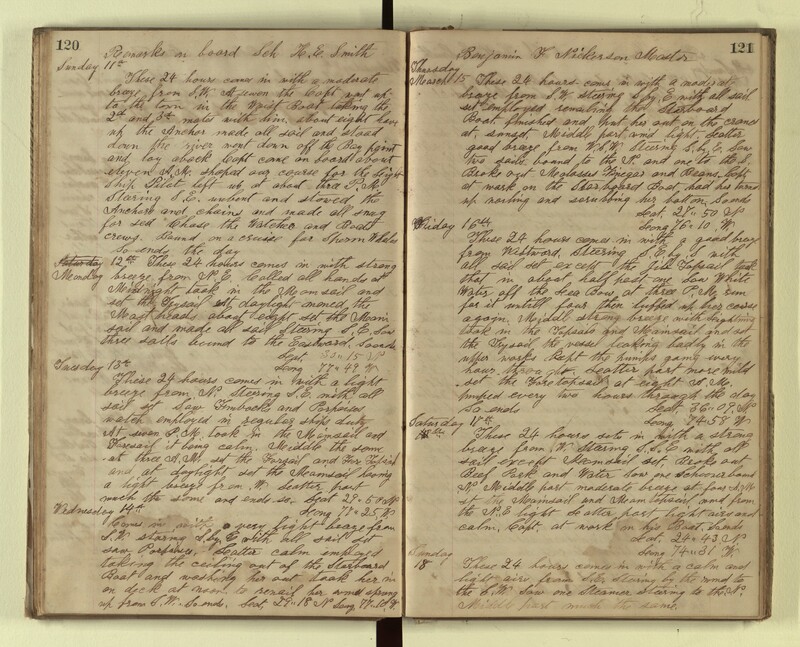 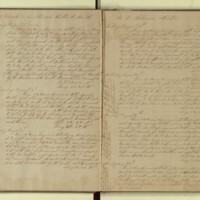 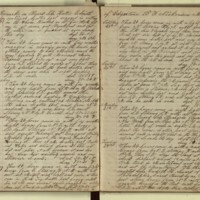 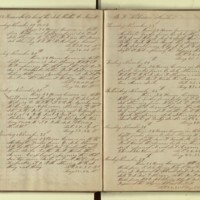 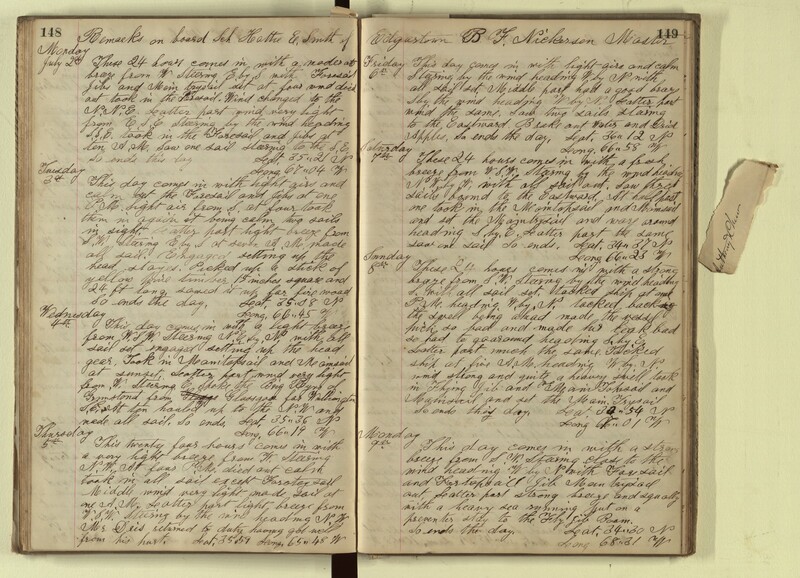 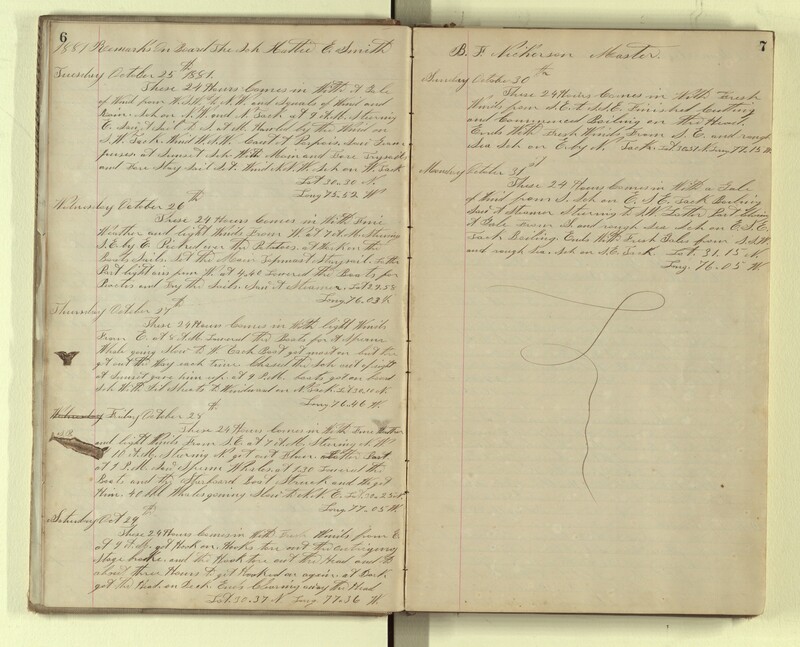 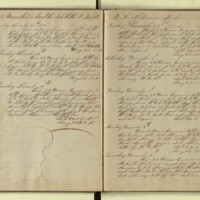 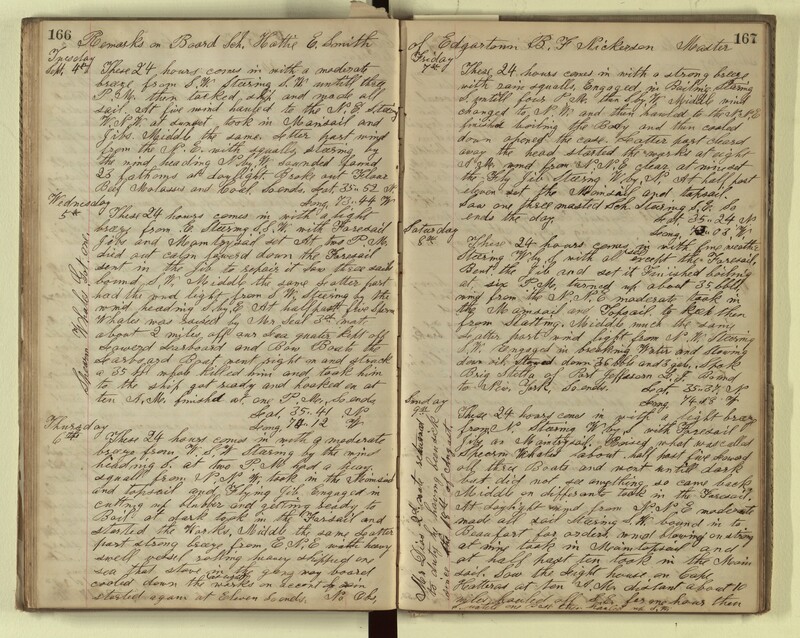 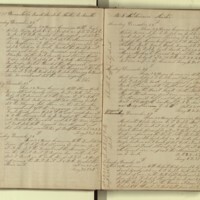 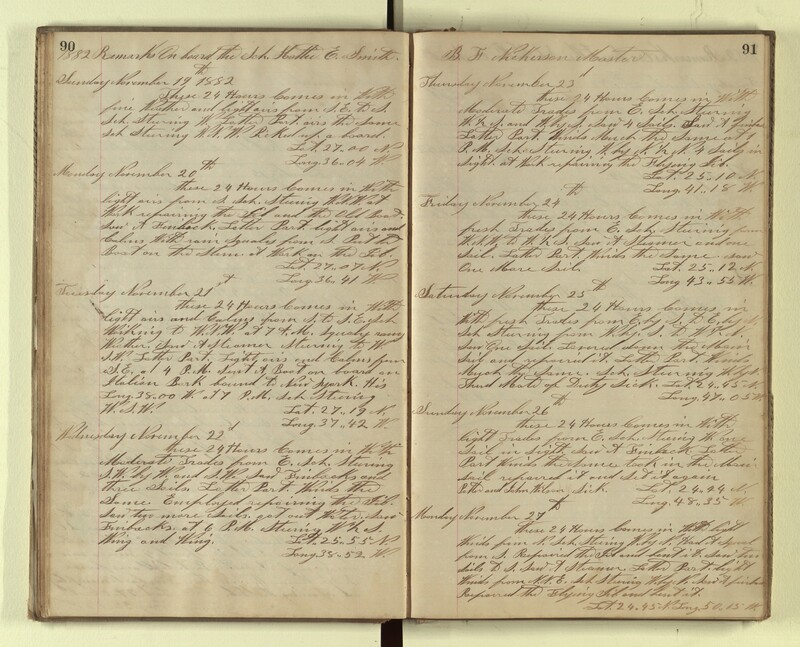 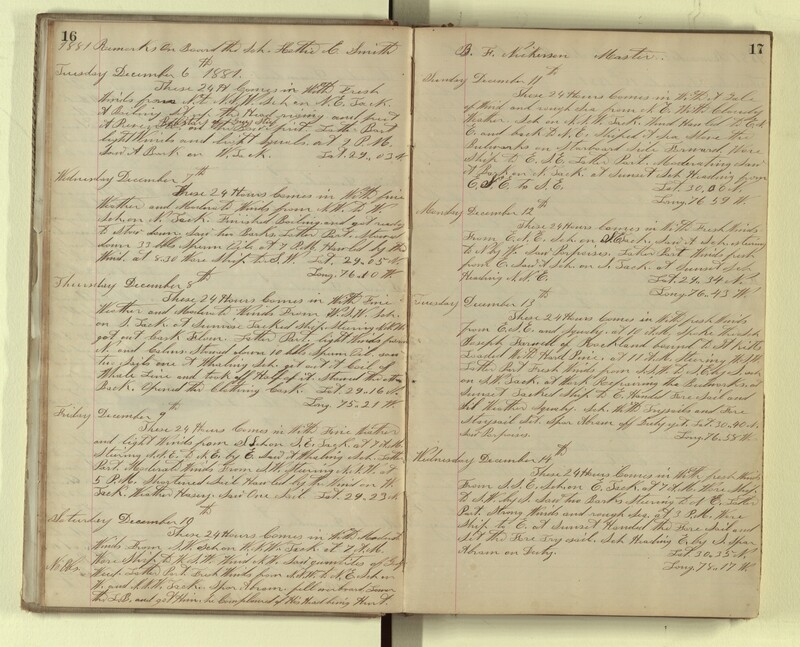 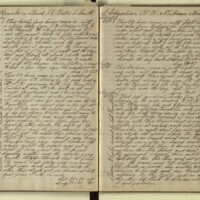 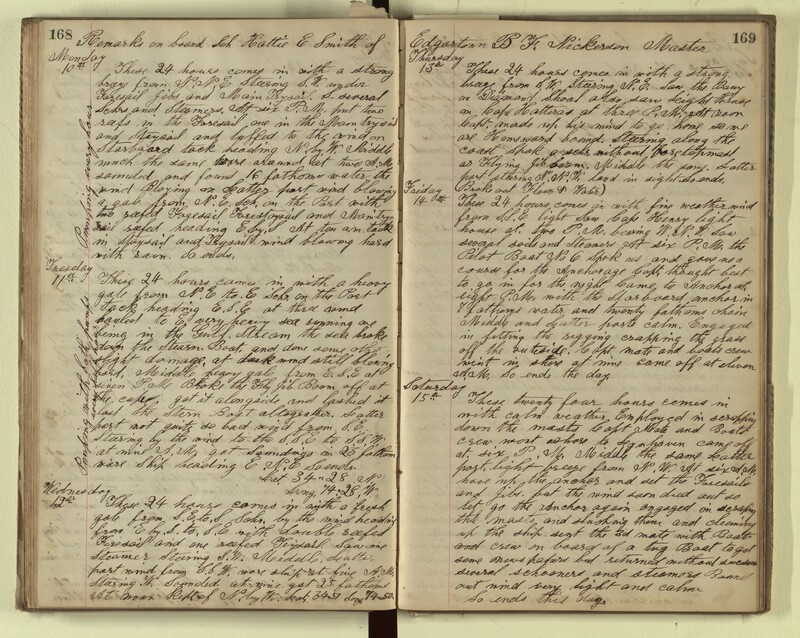 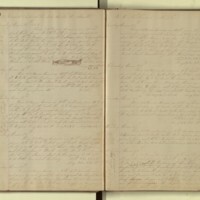 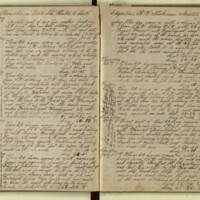 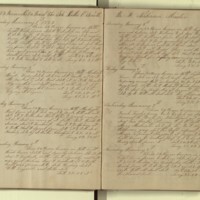 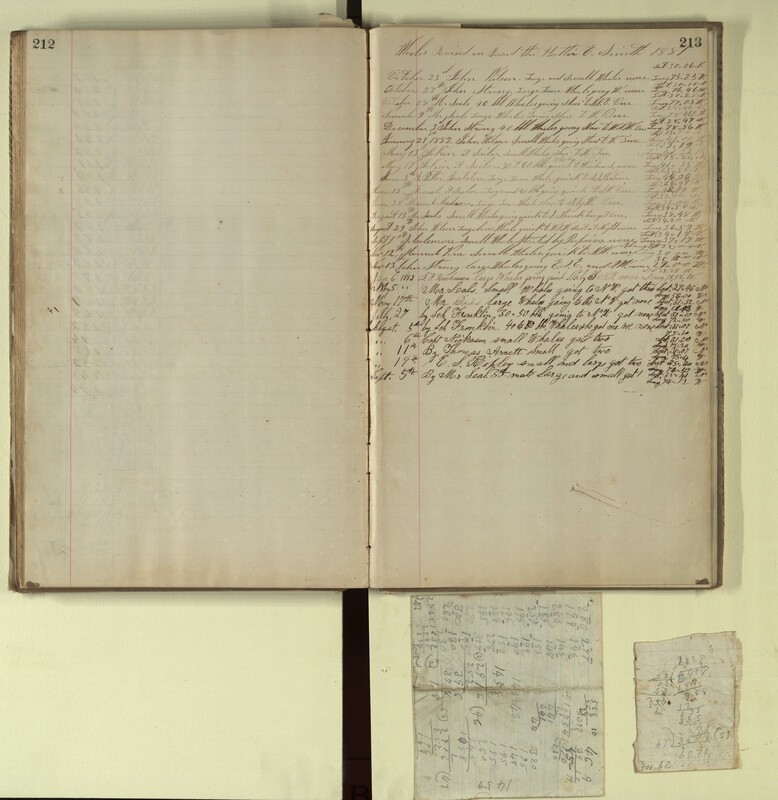 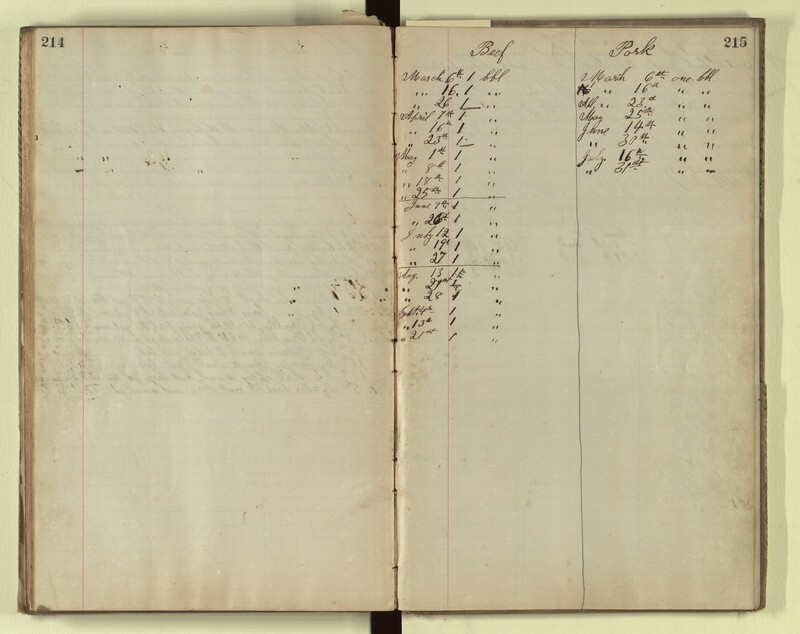 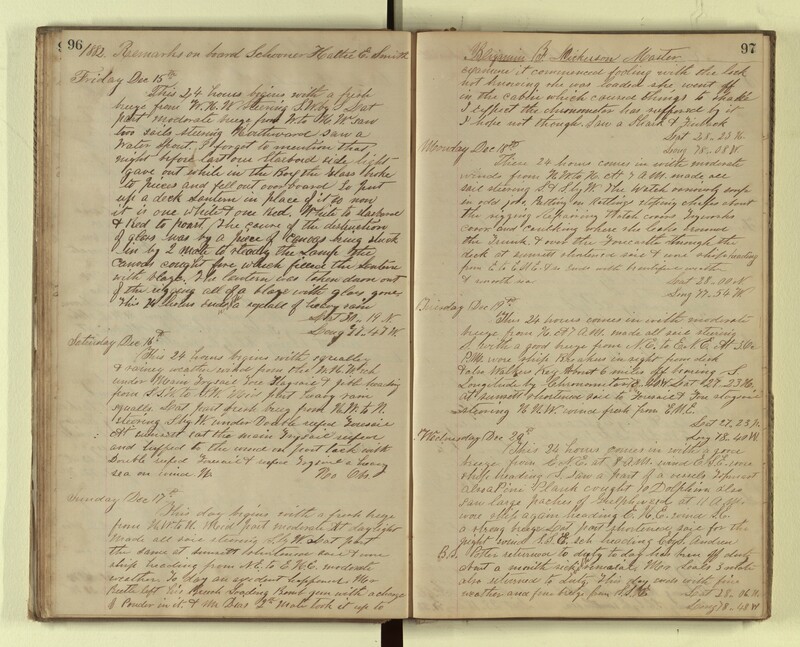 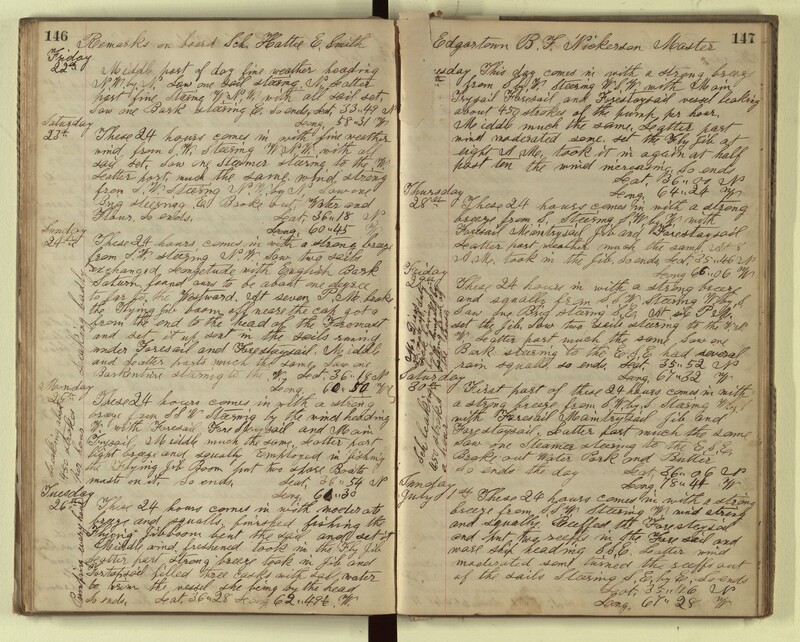 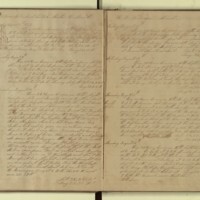 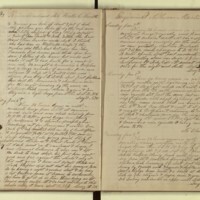 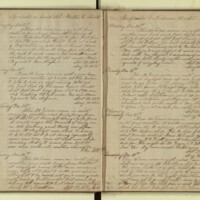 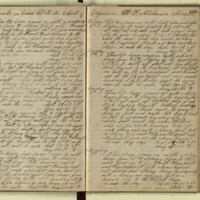 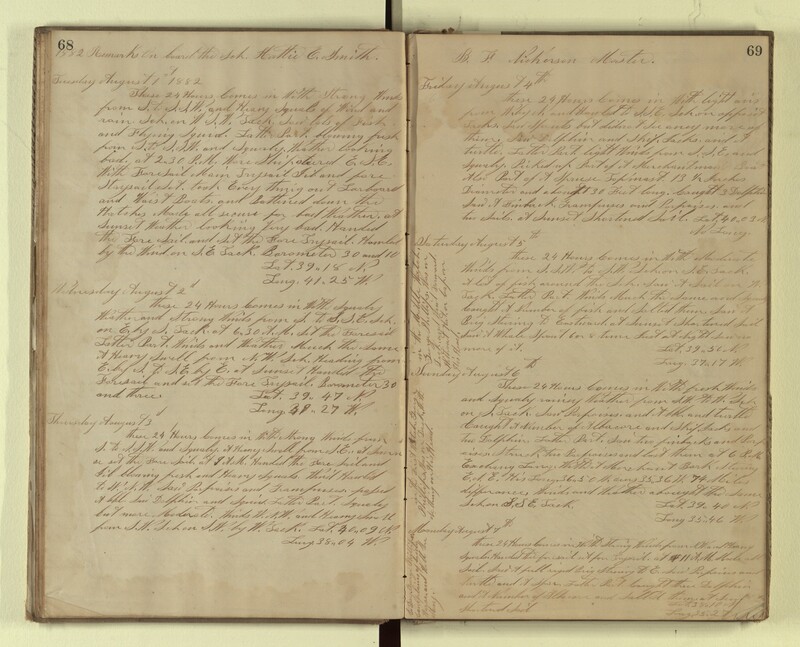 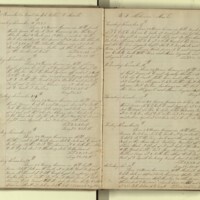 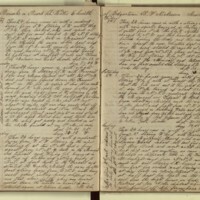 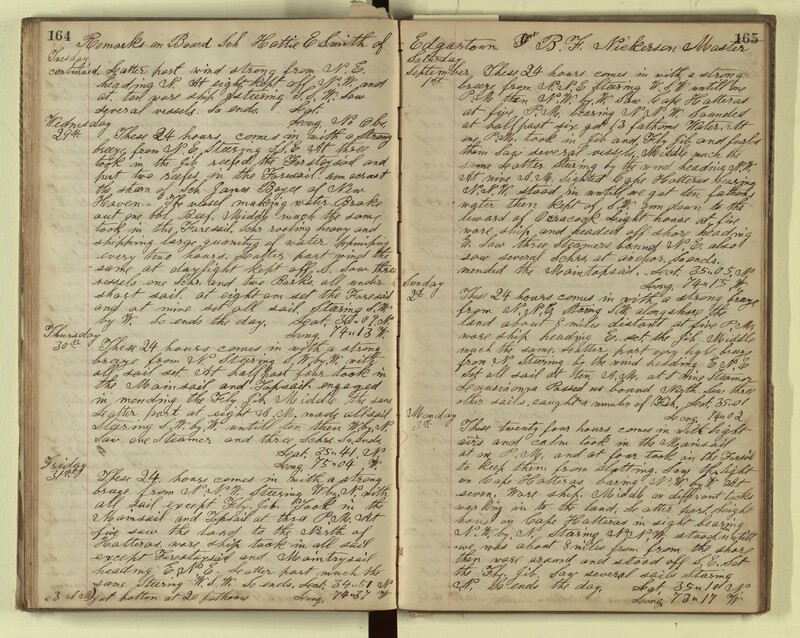 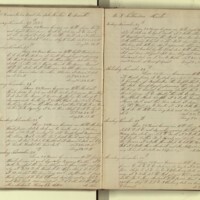 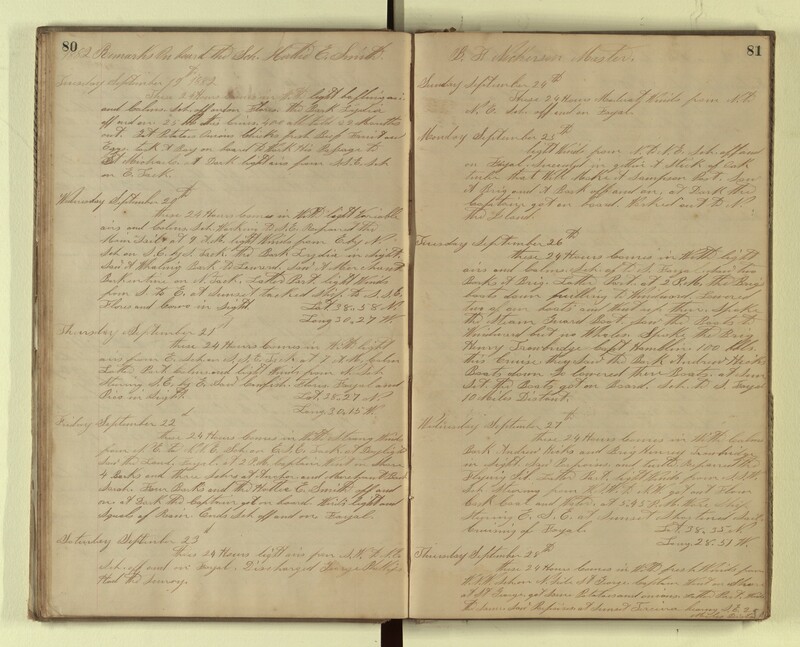 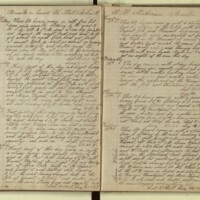 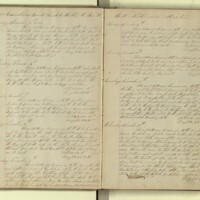 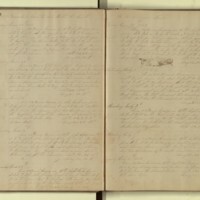 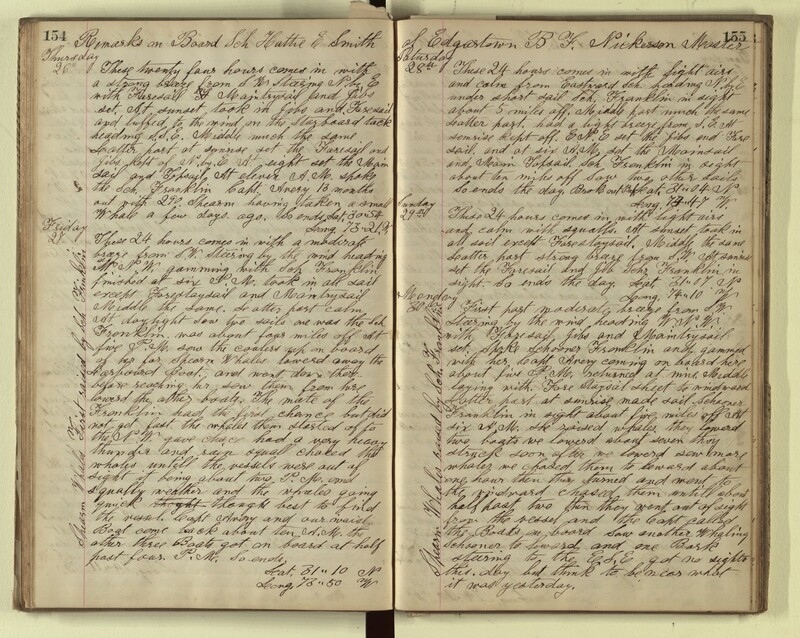 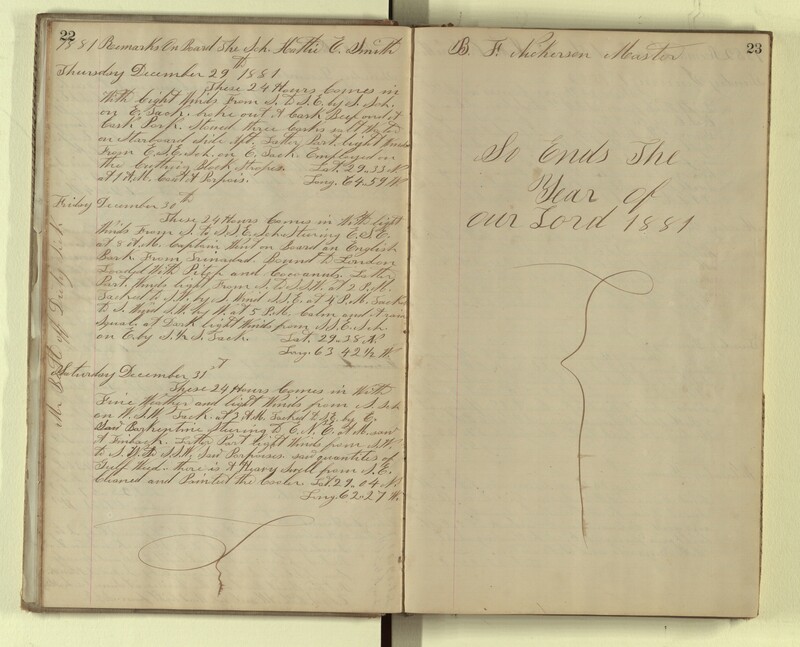 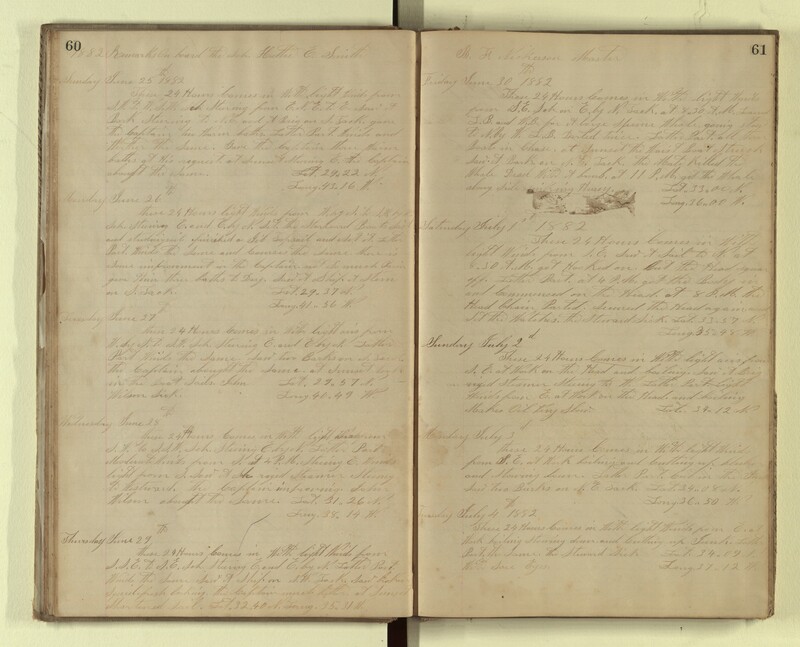 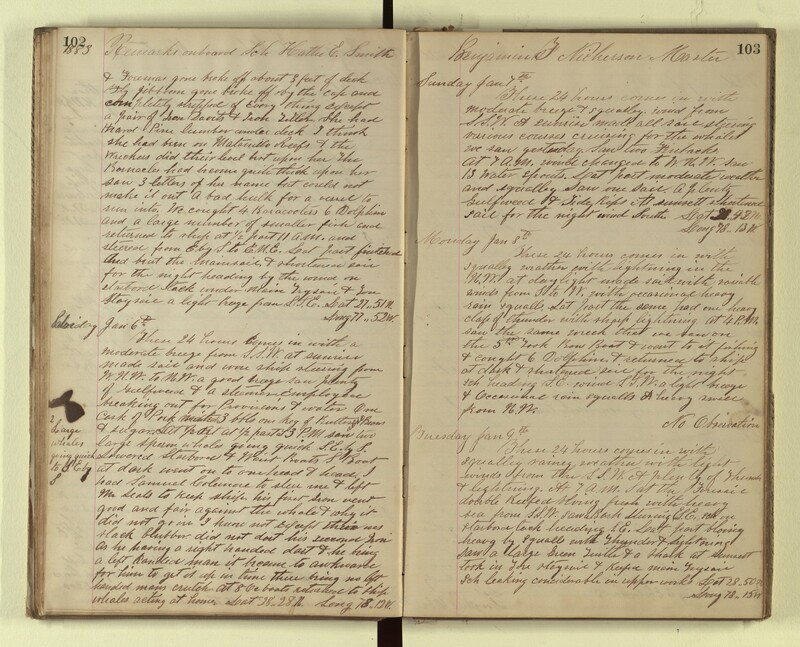 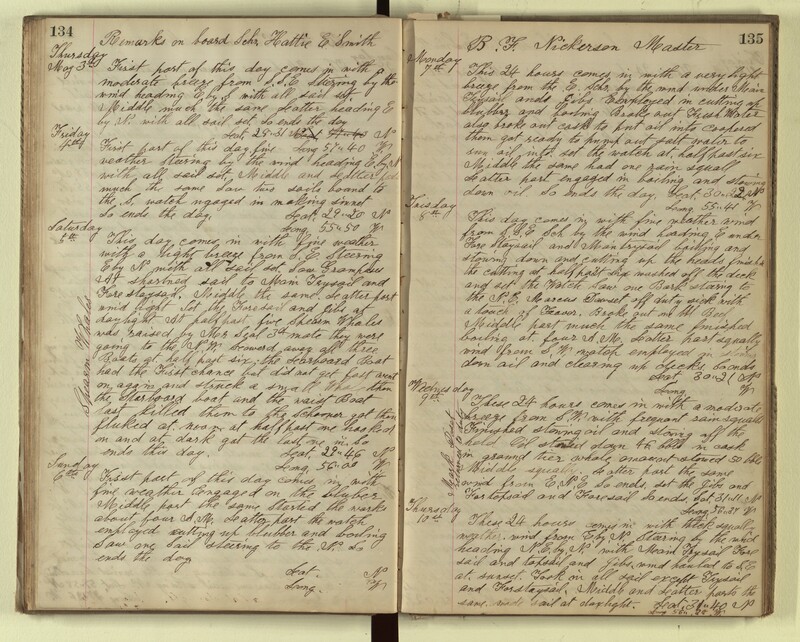 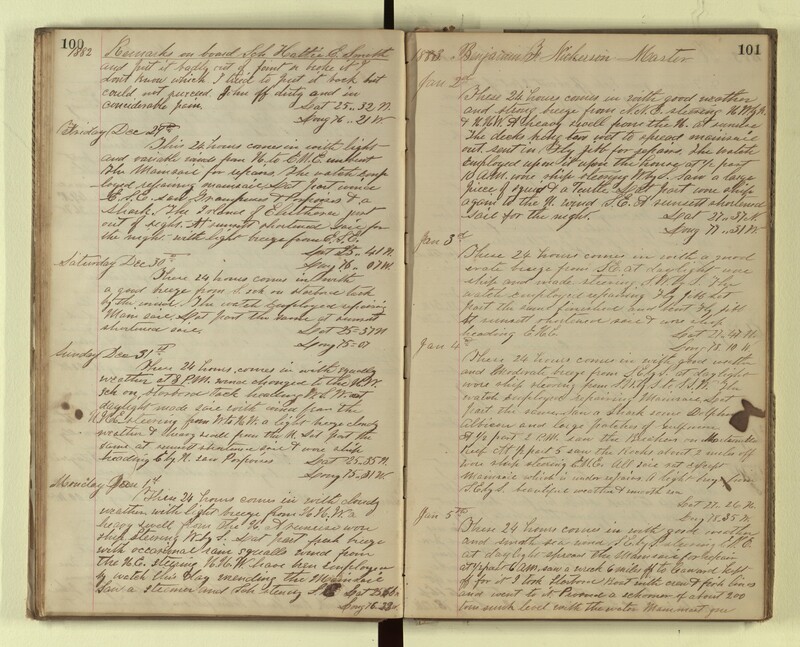 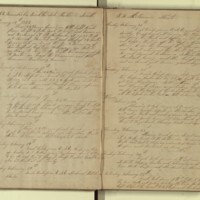 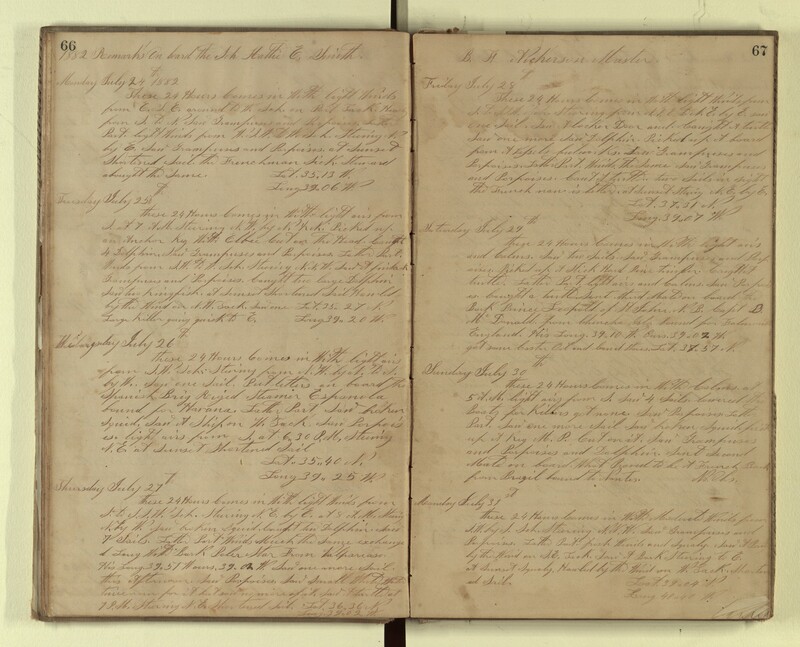 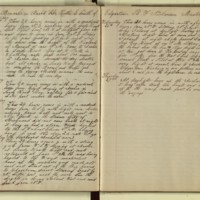 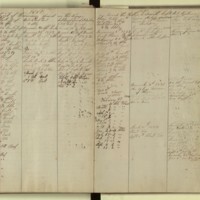 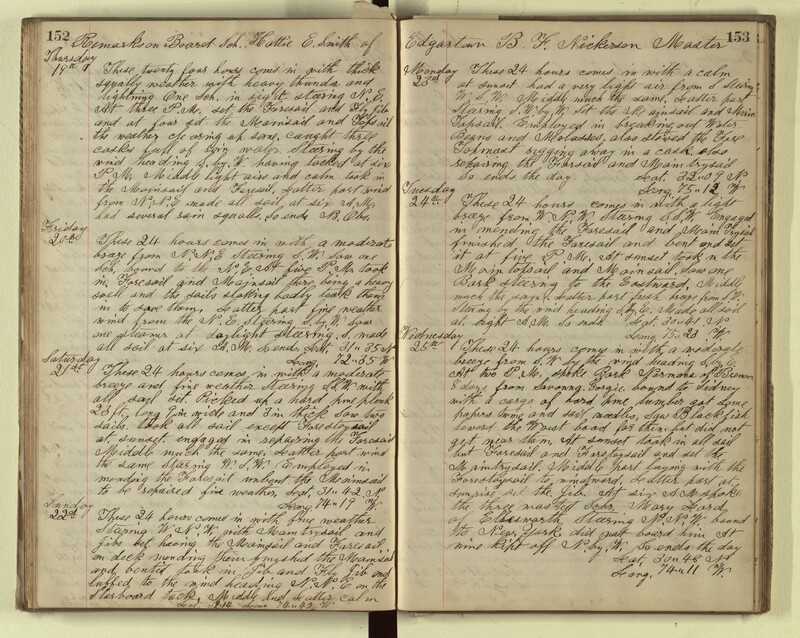 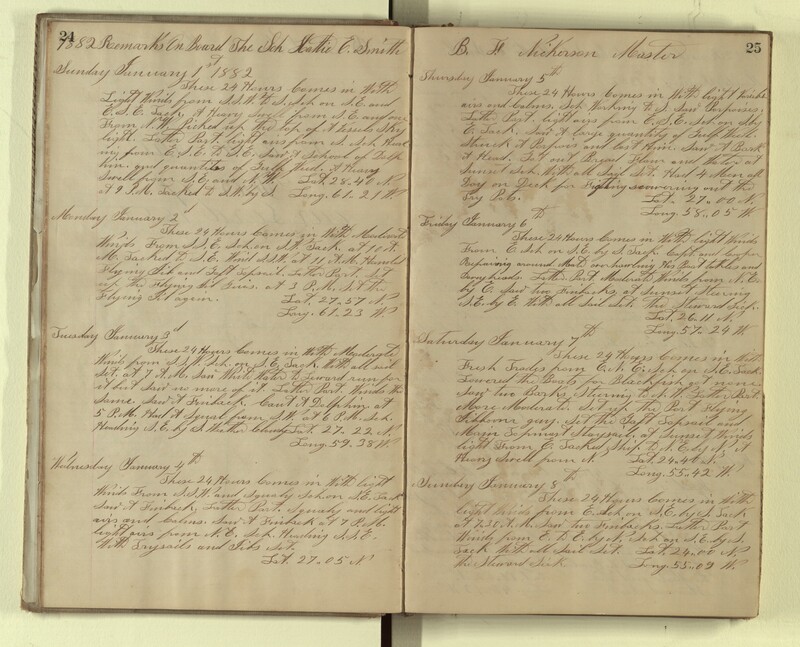 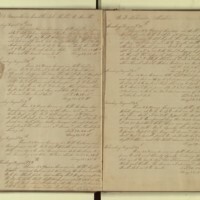 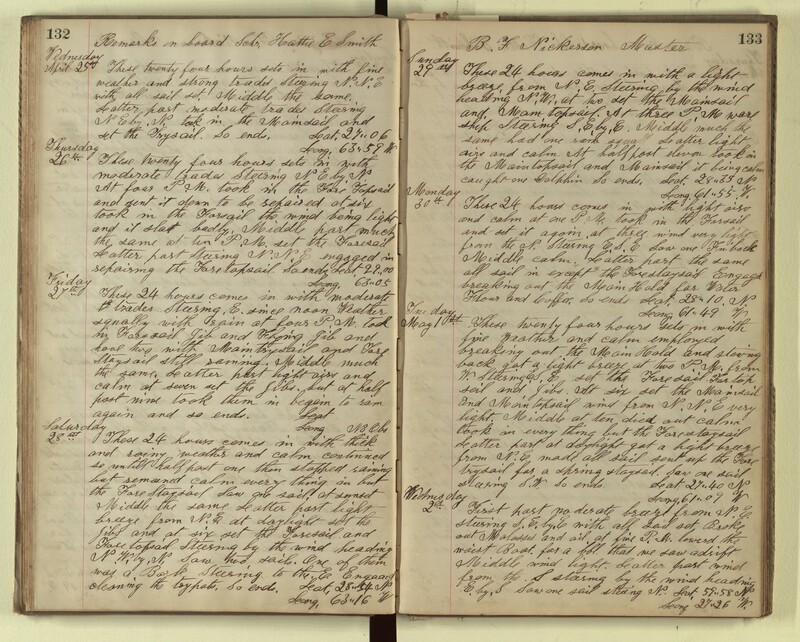 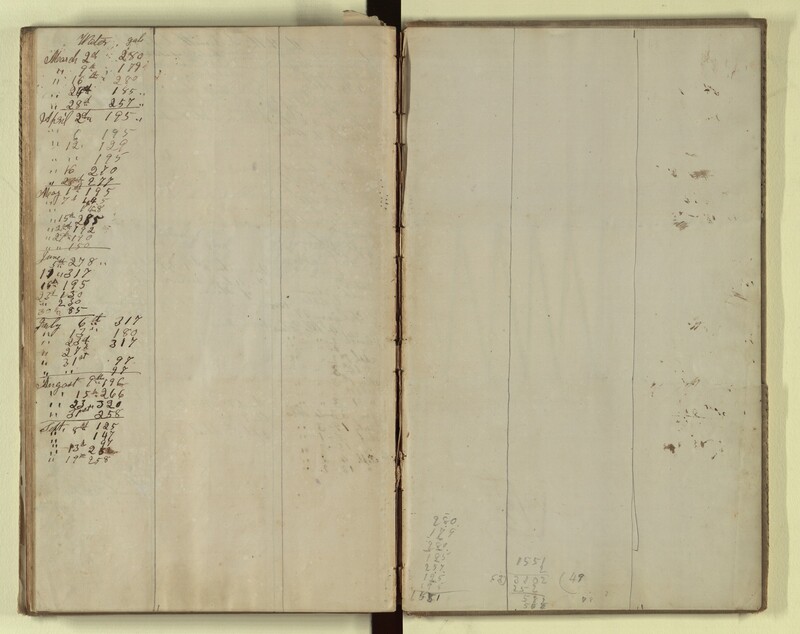 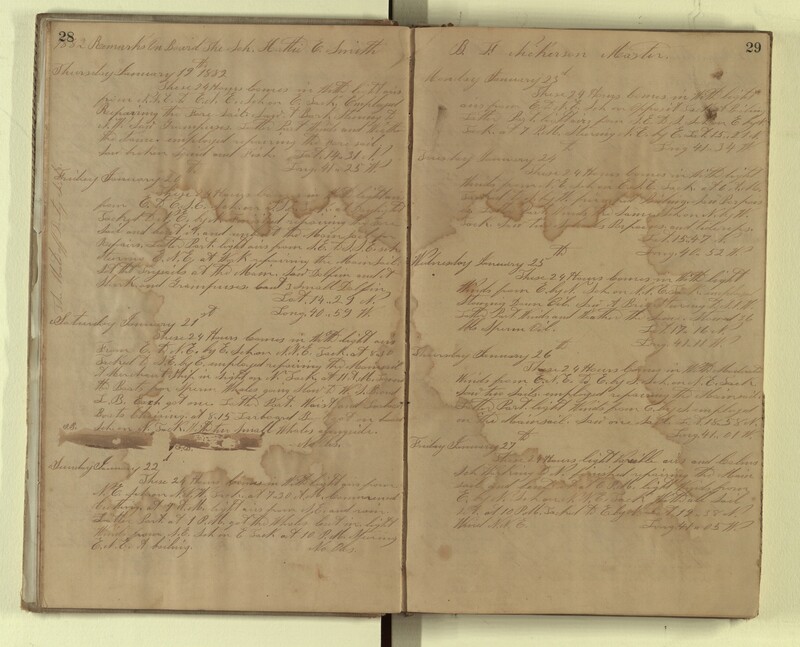 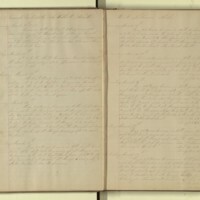 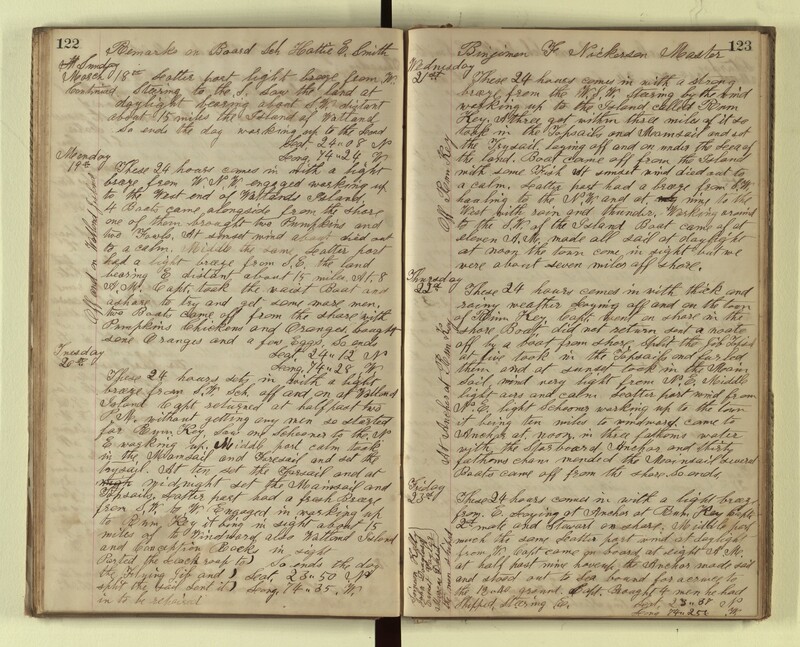 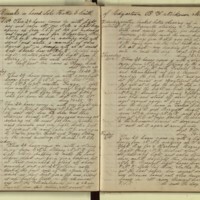 This is one of eight Hattie E. Smith logbooks in the Nicholson Collection. 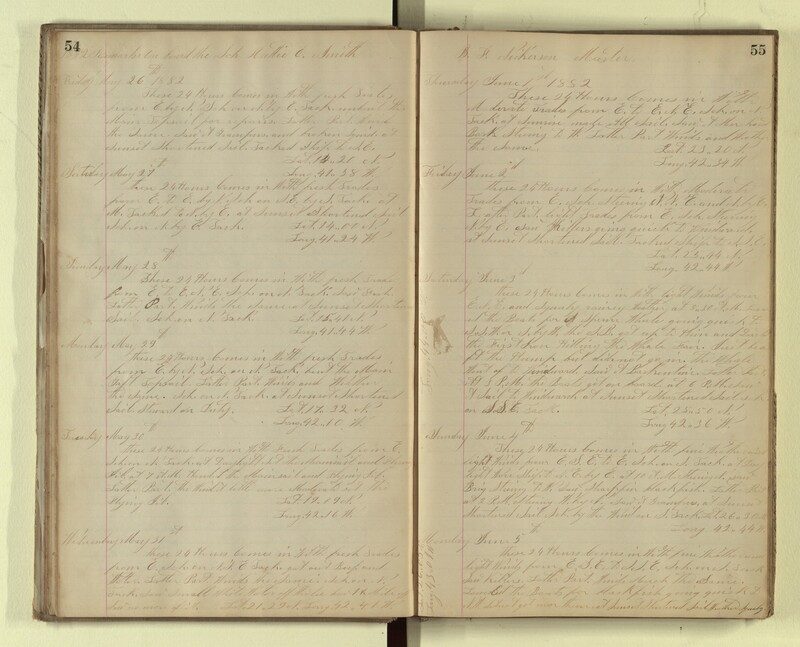 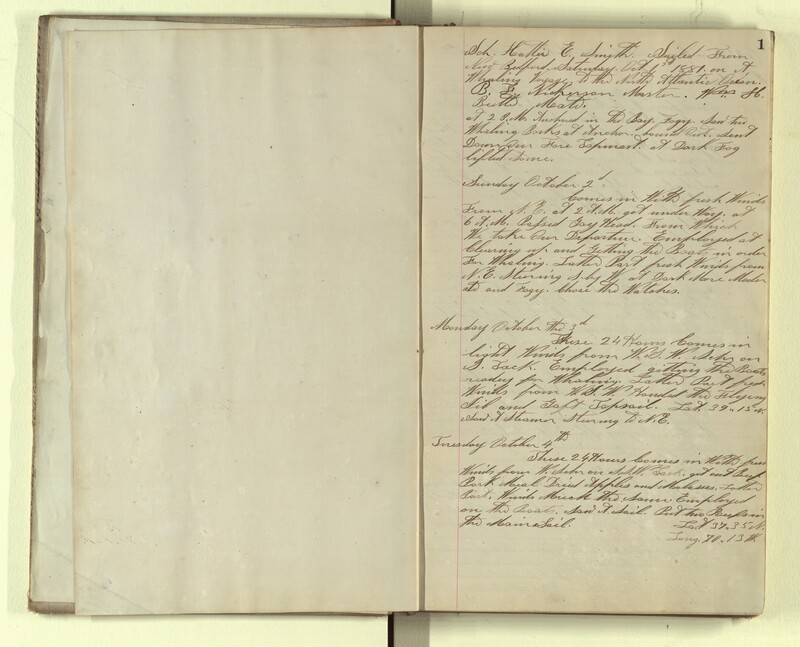 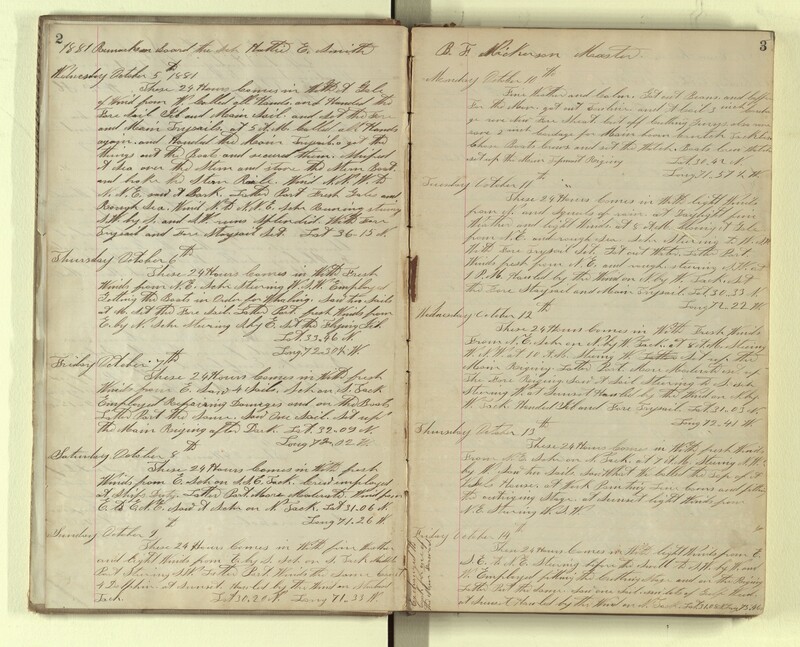 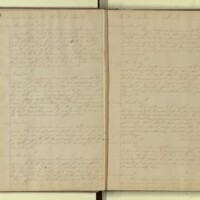 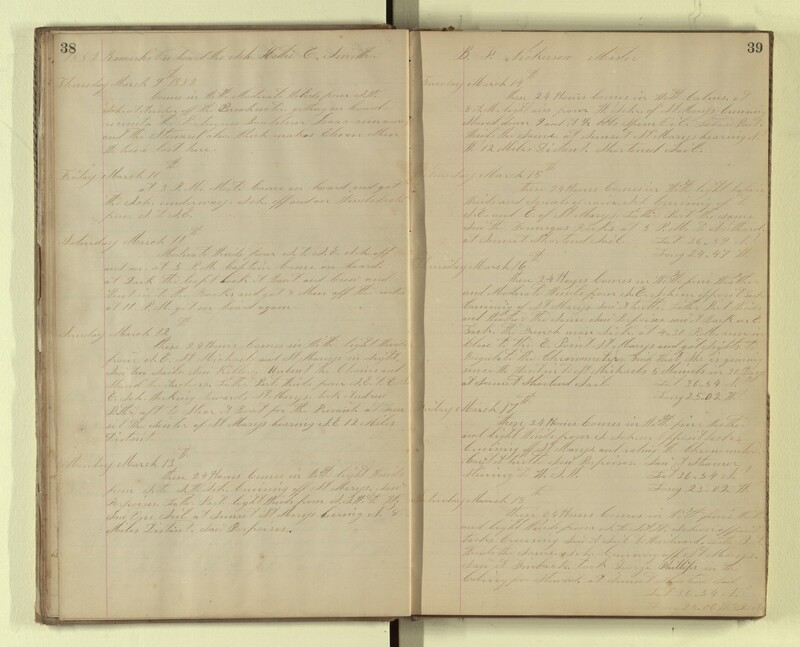 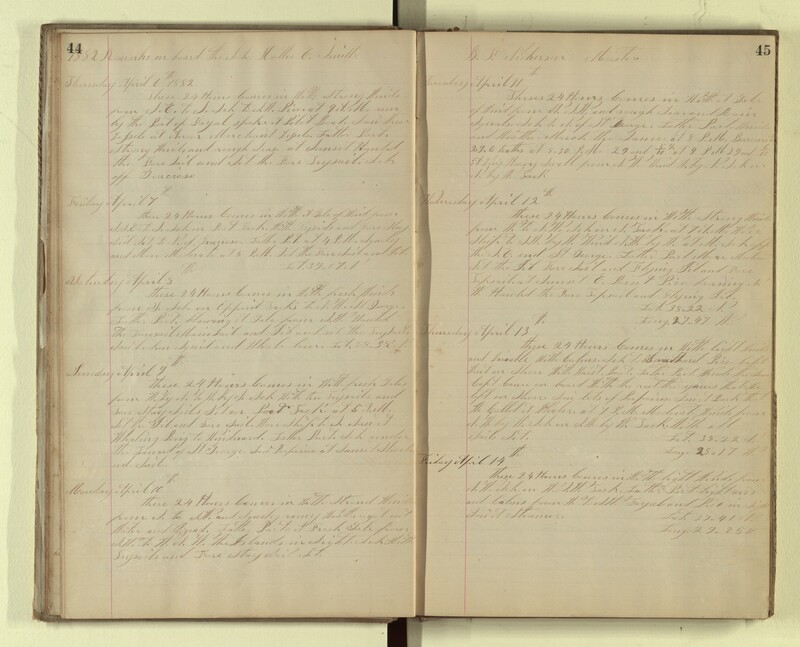 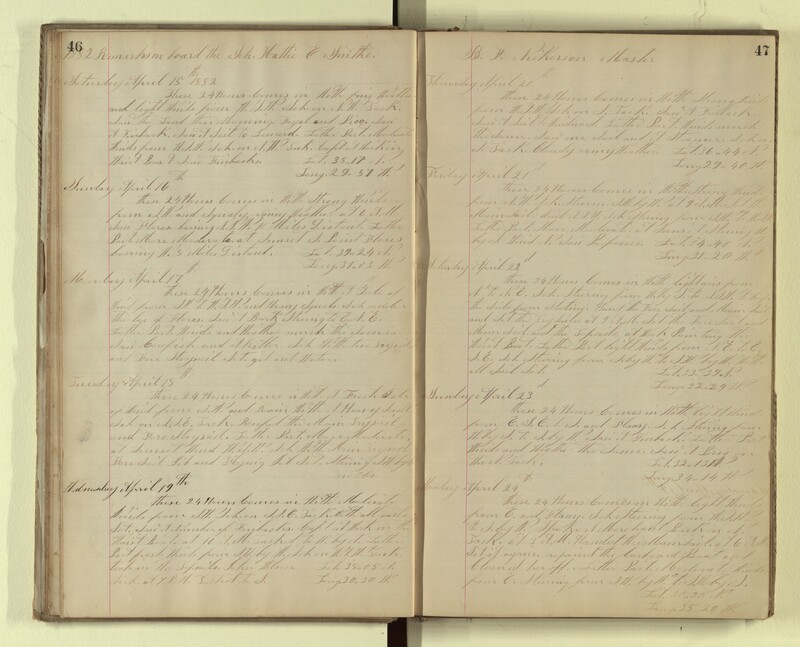 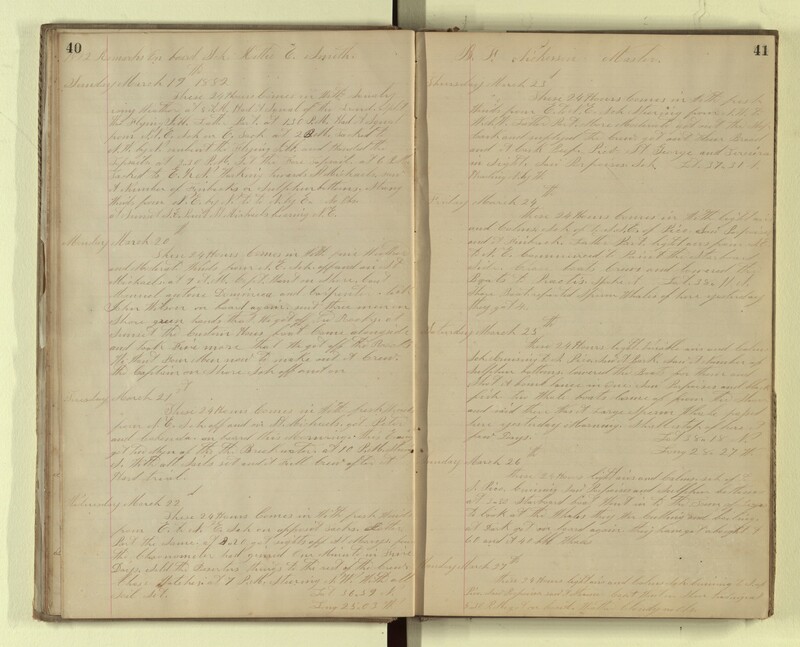 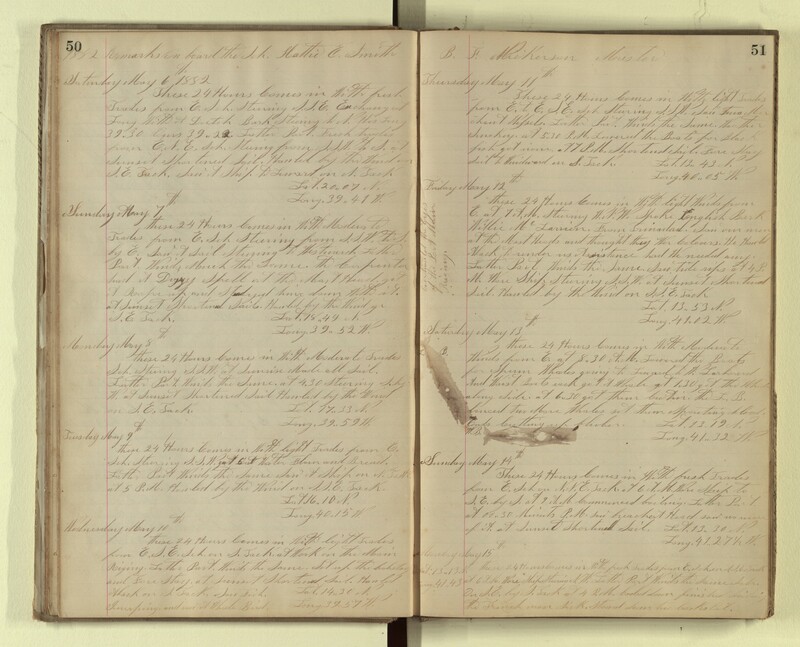 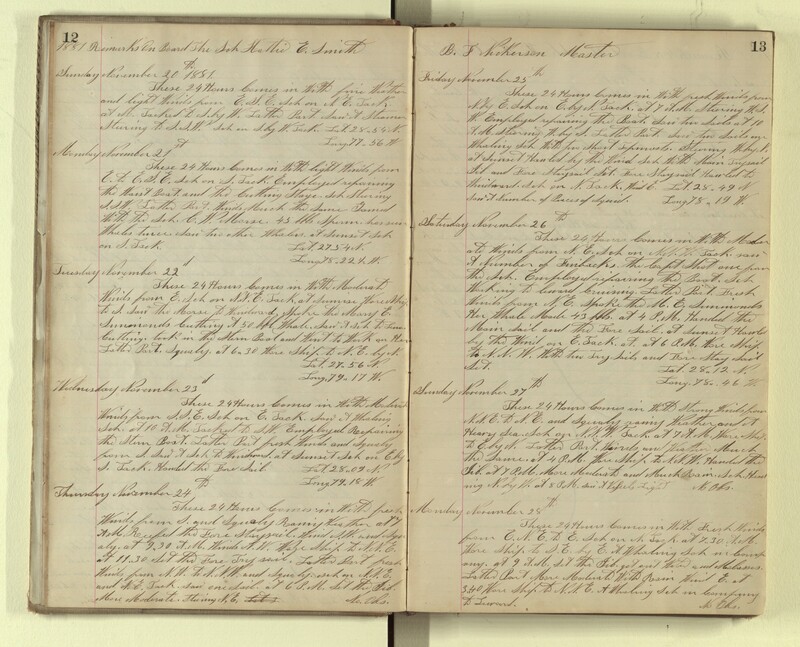 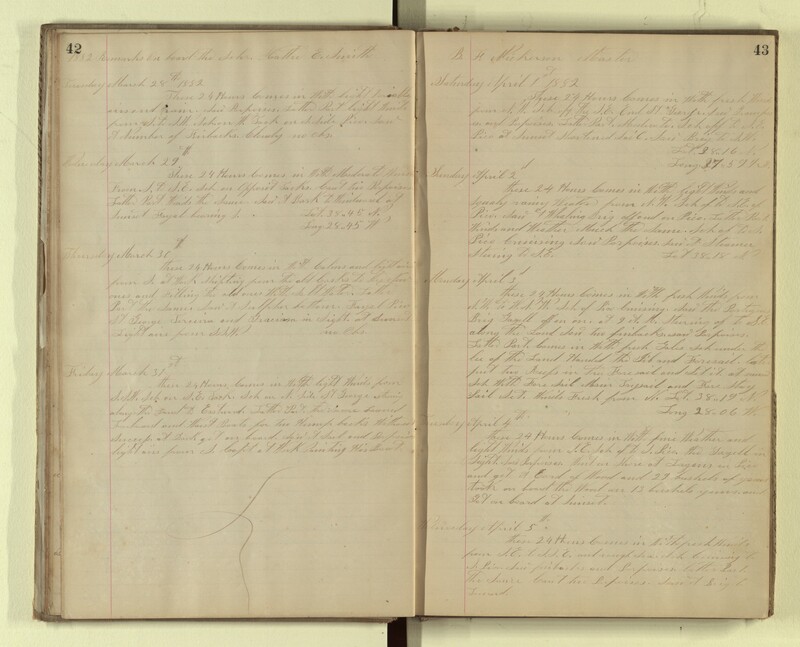 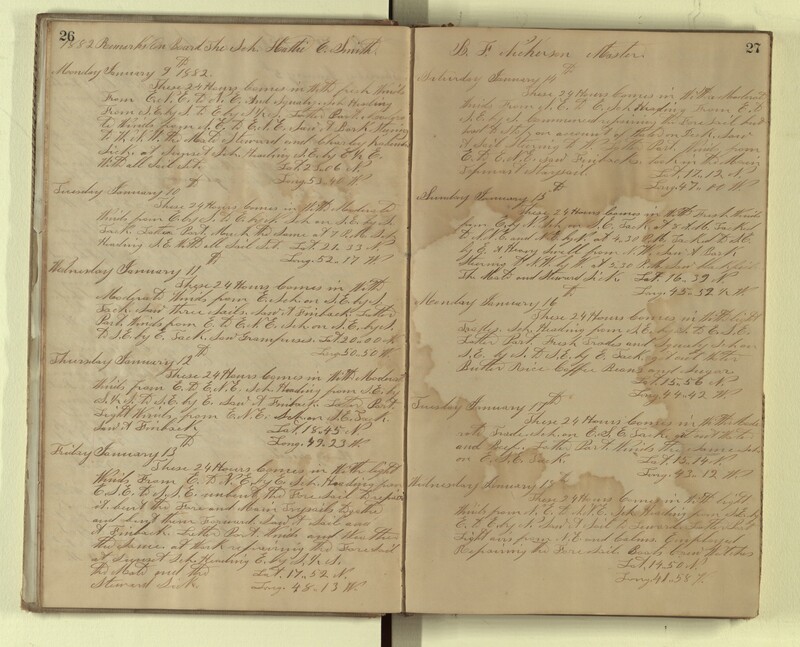 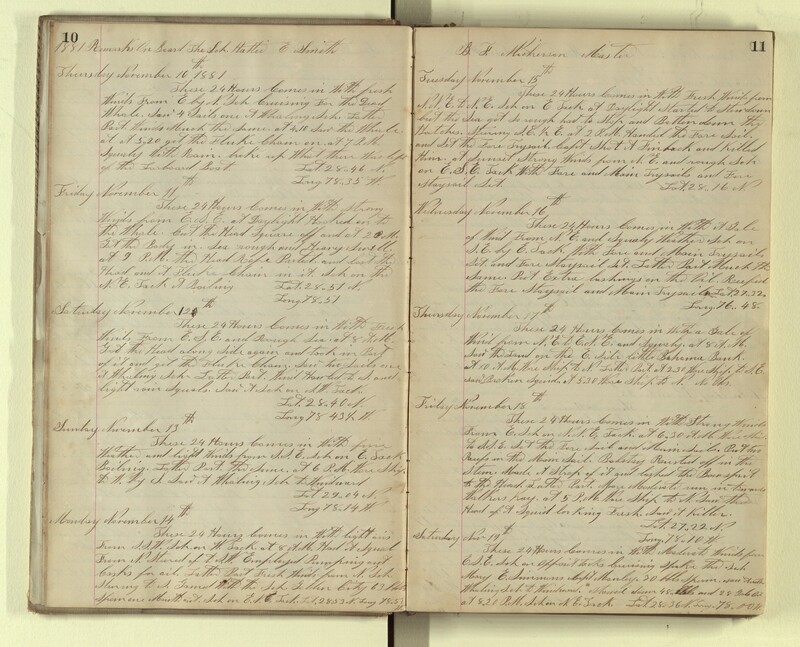 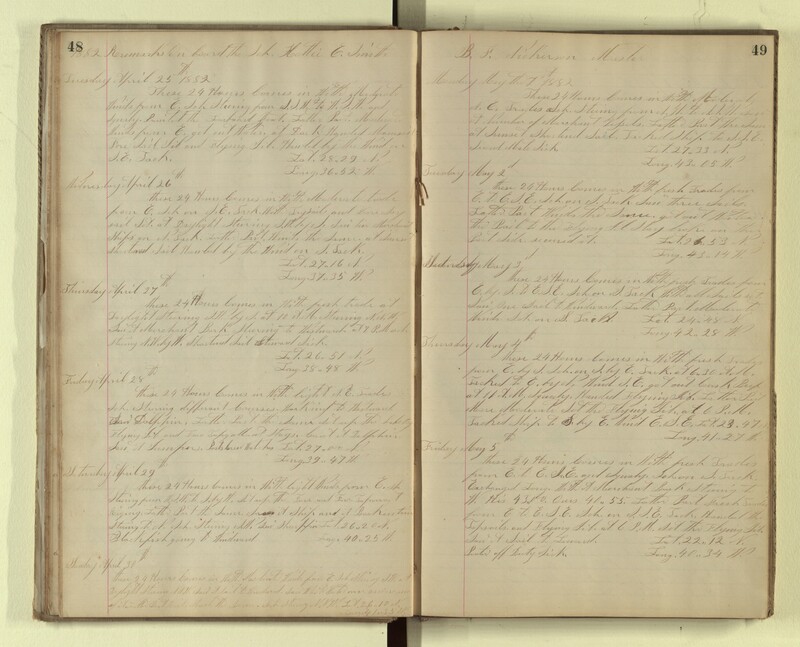 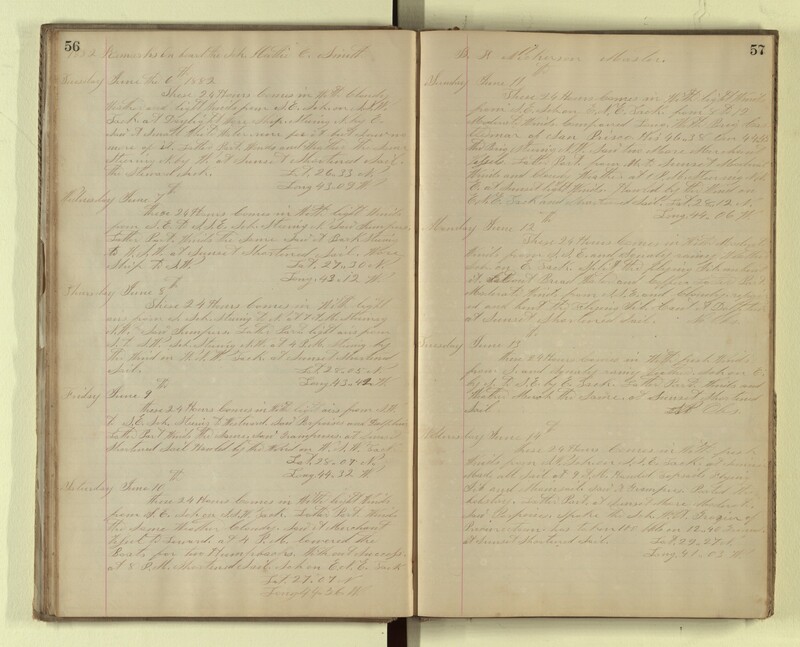 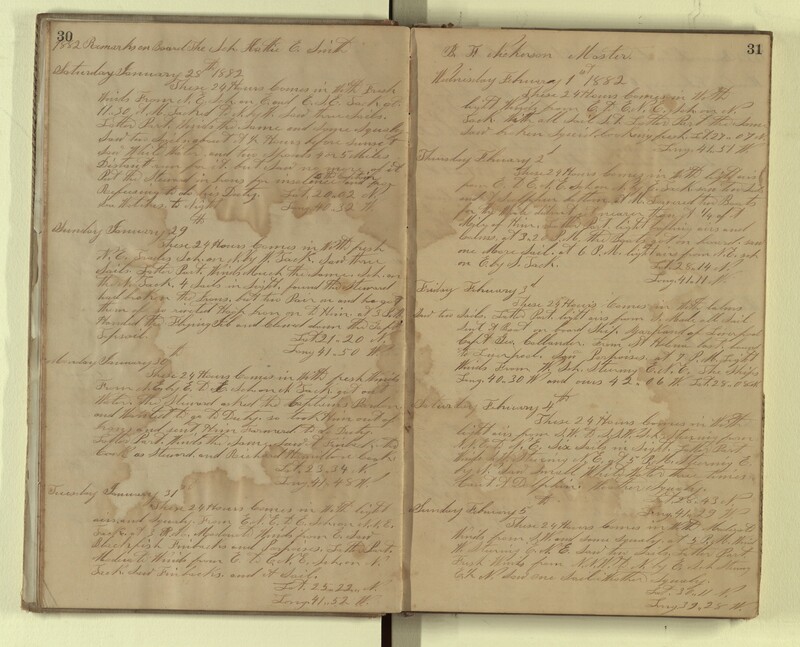 [Beetle], William H., “Log of the Hattie E. Smith, 1881-1883,” accessed April 19, 2019, http://pplspc.org/digital/items/show/21.